Assistant Professor in Transportation Engineering Section of Civil Engineering Department at University of Roorkee, (IIT Roorkee), May 1998-Feb 2004. Chairman, Library Advisory Committee, M G Central Library, IITR, Jan 2013 – March 2016. Professor in HAG Scale in Transportation Engineering Group of Civil Engineering Department at Indian Institute of Technology, Roorkee, Jan 1, 2016 onwards. Use of Fly-Ash in Embankment of Indo-Japan Friendship Bridge (New Nizamudin Bridge), sponsored by PWD, Delhi, 1997-1998. Development of an Approach for Intelligent Transport System for Indian Environment sponsored by AICTE 2000-2003. Feasibility Study of Transport Nagar at Haridwar. Scrutiny of PMGSY Proposals in Uttaranchal and Uttar Pradesh, 2001 onwards as Coordinator, State Technical Agency. Development of Design Procedure for Reinforced Flexible Pavement, MHRD, 2003-2006. Design and Monitoring of Ardh Kumabh Mela Roads of Haridwar District, 2003-2004. Session Coordinator, International Conference on Roads and Road Transport Problems (ICORT-95), Dec. 11-14, 1995. Session Coordinator, National Get-Together on Road Research and its Utilization, organised by CRRI, New Delhi, Jan. 3-4, 1997. Convenor, Session Coordination Committee, Indo-US Workshop on Ground lmprovement using Geosynthetics, organised by CRRI in collaboration with University of New Orleans, Louisiana (USA), March 26-28, 1997. Member, Finance Committee, PIARC World Conference, organised by CRRI and PIARC-G2 Group, New Delhi. Member, Hindi Samiti, Central Road Research Institute, New Delhi for about 4 years. Secretary, SAC, Transportation Engg. Section, Deptt of Civil Engg., University of Roorkee, Roorkee.(1998-2004). O.C.Central Facilities at Civil Engineering Department, UOR 1998-2002. O.C.Purchase at Civil Engineering Department, UOR 2000-2002. Staff Advisor, Yoga, IIT Roorkee (UOR), 1999-2009. Convener, National Seminar on “Reforms in Technical Education” organised at University of Roorkee, Roorkee, March 26-27, 2001. Session Coordinator, 2nd International Conference on Fluid Mechanics and Fluid Power, Roorkee Dec12-14, 2002. Co-convener, Session Coordination Committee, International Geotechnical Conference, IIT Roorkee, Dec17-19, 2003. Member, Hindi Implementation Committee, IIT Roorkee, 2001-2003. Member, Rural Road Planning Committee of Pradhan Mantri Gram Sadak Yojna (PMGSY), Delhi. Member, Six Member National Executive Committee of Pradhan Mantri Gram Sadak Yojna (PMGSY), 2003 onwards. Staff Advisor, Cognizance (Tech Fest)-2004, 2005, Civil Engg Deptt. Manager Adarsh Bal Niketan Senior Secondry School, IITR, 2006 -2012. Secretary, Department Professorial Committee (DPC) of Civil Engg Deptt, IITR, 2008-2010. Coordinator, Transportation Engineering Group, Civil Engineering Department, IIT Roorkee, July 2010-2012, December 2015 to July 2018. Chairman, 59th ILA International Conference on Managing Libraries in the Changing Information World: From Surviving to Thriving, Feb 22-24, 2014. A Chapter in Quality Assurance Handbook for Rural Roads, NRRDA, Ministry of Rural Development, Govt. of India, May 2007. About 400 Technical Research Papers in Indian and International Journals & Conferences. Editor of NEWS LETTER of Central Road Research Institute, New Delhi for about five years. Editor of SADAK DARPAN, a Research Journal of Central Road Research Institute, New Delhi for about three years. ROAD DEVELOPMENT IN INDIA Vol. I & ll published by Central Road Research lnstitute, New Delhi, 1994. Member of Drafting Committee for IRC Code on “Guidelines on Tree Plantation along Rural Roads”, IRC: SP:1-3-2014, Indian Roads Congress. Member, Peer Review Committee for Revision of Quality Assurance Handbook for Rural Roads, NRRDA, Ministry of Rural Development, Govt. of India, Dec 2016. A book on Rural Roads for PG Students in writing stage. Worked as Script Writer and Technical Consultant for the film on Rural Transportation, produced by Technical Teachers Training Institute Chandigarh. CSIR National Research Prize for 1995-96. Young Teachers’ Career Award of AICTE in April 2000. Best Paper on Road Research Award of Indian Roads Congress (Bihar PWD Medal) for the year 1999-2000. Pt Jawahar Lal Nehru Centenary Award of Indian Roads Congress for year 2000. Best Paper Award of Indian Society for Construction Materials and Structures (ISCMS) for 2002. Star Performer for 2003-04, 2004-05 and 2005-06 by Indian Institute of Technology, Roorkee. Commendation Certificate for Outstanding Work by Indian Roads Congress, 2006. Best paper of the session in National Seminar on “Role of Infrastructure for Sustainable Development”, organized by The Institution of Engineers Roorkee Local Centre, October 12-14, 2012. The Institution prize of The Institution of Engineers (India) for best paper, given in 2013. Best Paper on Road Research Award of Indian Roads Congress (Bihar PWD Medal) on Paper “Effect of Modulus of Subgrade Reaction on Thickness of Rigid Pavement” for the year 2016-17. Chairman, Library Advisory Committee, M G Central Library, IITR, Jan 2013 -2016. Fourth Rank among Top 100 IIT Professors in India in 2016 based on Research papers Published in India as per Confideration of Indian Industry (CII). President of India Nominee (Visitor’s Nominee) for Civil Engineering Department of IIT Delhi, 2016-19, IIT Madras2017-20, IIT Jodhpur 2018-21, Court of Banaras Hindu University, 2017-19 and all NITs, 2018-21. Member, HRB Core Group, Indian Roads Congress 2017-19. The Institute of Urban Transport. Organised an One week Training Course on “Construction of Roads Under Pradhan Mantri Gram Sadak Yojna (PMGSY) for RES Engineers” July 5-11, 2002. Organised a 5 days Training Course on “Roads For World Bank Aided Projects” for PWD Engineer, Jan 7-11, 2003. Organised an One week Training Course on “Roads Under Pradhan Mantri Gram Sadak Yojna (PMGSY) for RES Engineers” Jan27-Feb 01, 2003. Organised a Three days Training Course on “Rural Roads Construction under Pradhan Mantri Gram Sadak Yojna (PMGSY) for RES Engineers” Feb 4-6, 2004. Organised a Three days Training Course on “Rural Roads Construction under Pradhan Mantri Gram Sadak Yojna (PMGSY) for RES Engineers” June1-3, 2004. Organised a Three days Training Course on “Rural Roads Construction under Pradhan Mantri Gram Sadak Yojna (PMGSY) for RES Engineers” July 1-3, 2004. Organised a Three days Training Course on “Rural Roads Construction under Pradhan Mantri Gram Sadak Yojna (PMGSY) for RES Engineers” Nov 15-17, 2004. Organised a Three days Training Course on “Rural Roads Construction under Pradhan Mantri Gram Sadak Yojna (PMGSY) for RES Engineers” March 21-23, 2005. Organised a Three days Training Course on “Rural Roads Construction under Pradhan Mantri Gram Sadak Yojna (PMGSY) for URRDA Engineers” Aug 4-6, 2005. Organised a Three days Training Course on “Rural Roads Construction under Pradhan Mantri Gram Sadak Yojna (PMGSY) for RES Engineers” April 5-7, 2006. Organised a Three days Training Course on “Rural Roads Construction under Pradhan Mantri Gram Sadak Yojna (PMGSY) for URRDA Engineers” July 21-23, 2006. Organised a Three days Training Course on “Rural Roads Construction under Pradhan Mantri Gram Sadak Yojna (PMGSY) for RES Engineers” Sept 14-16, 2006. Organised a Five Days Q.I.P.Course on “Urban Transportation Planning” on June 24-28, 2007. Organised a Five Days Training Course on Rural Roads Construction and Other Works under NABARD for their Officers, at Lucknow on Sept 6-10, 2007 . Organised a Five Days Training Course on Rural Roads Construction and Other Works under NABARD for their Officers, at Lucknow on Nov 21-26, 2007 . Organised a Five Days Training Course on Rural Roads Construction and Other Works under NABARD for their Officers, at Lucknow on Sept 2-8, 2008. Organised a Five Day Training Course on Hydraulics and Rural Roads under National Rural Employment Guarantee Act sponsored by Madhya Pradesh Employment Guarantee Council, Bhopal, on Sept 15-19, 2008. Organised a Five Day Training Course on Hydraulics and Rural Roads under National Rural Employment Guarantee Act sponsored by Madhya Pradesh Employment Guarantee Council, Bhopal, on Dec 15-19, 2008. Organised a Five Day Training Course on Hydraulics and Rural Roads under National Rural Employment Guarantee Act sponsored by Madhya Pradesh Employment Guarantee Council, Bhopal, on Jan 5-9, 2009. Organised a Three days Training Course on “Rural Roads Construction under Pradhan Mantri Gram Sadak Yojna (PMGSY) and CC Raod Construction under Ambedkar Gram Yojna for RES Engineers” Jan 21-23, 2011. Organised a Three days Training Course on “Rural Roads Construction under Pradhan Mantri Gram Sadak Yojna (PMGSY) and CC Raod Construction under Ambedkar Gram Yojna for RES Engineers” March 22-24, 2011. Organised a Three days Training Course on “Rural Roads Construction under Pradhan Mantri Gram Sadak Yojna (PMGSY) and CC Raod Construction under Ambedkar Gram Yojna for RES Engineers” April 22-24, 2011. Organised a Five Days Training Course on “Survey, Investigation and Pavement Design” sponsored by Road Construction Department, Bihar at IITR on Feb 25 to March 1, 2013. Organized a Five Days Training Course on “Survey, Investigation and Design of Bridges” sponsored by Road Construction Department, Bihar at IITR on March11 to March 15, 2013. Organised a Three days Training Course on “Rural Roads Construction under Pradhan Mantri Gram Sadak Yojna (PMGSY) for RED Engineers” Sept 7-9, 2013. Organised a Three days Training Course on “Rural Roads Construction under Pradhan Mantri Gram Sadak Yojna (PMGSY) for RED Engineers” Oct 3-5, 2013. Organised a Three days Training Course on “Rural Roads Construction under Pradhan Mantri Gram Sadak Yojna (PMGSY) for RED Engineers” Oct 24-26, 2013. Organised a Three days Training Course on “Rural Roads Construction under Pradhan Mantri Gram Sadak Yojna (PMGSY) for RED Engineers” Nov 27-29, 2013. Organised a Three days Training Course on “PMGSY-II alongwith Earthquake Resistant Structures for RED Engineers” July 24-26, 2014. Organised a Three days Training Course on “PMGSY-II alongwith Earthquake Resistant Structures for RED Engineers” Aug 21-23, 2014. Organised a Three days Training Course on “PMGSY-II alongwith Earthquake Resistant Structures for RED Engineers” Sept 11-13, 2014. Organised a Three days Training Course on “PMGSY-II alongwith Earthquake Resistant Structures for RED Engineers” Oct 16-18, 2014. Organised a Three days Training Course on “PMGSY Roads alongwith Earthquake Resistant Structures for RED Engineers” May 16-18, 2017. Organised a Three days Training Course on “New Technologies in PMGSY for RED Engineers” Jan 23-25, 2018. About 1200 Field Engineers/Teachers have attended these courses. Apart from this, delivered lectures in various other 30 courses organized by NITHE, NABARD, NRRDA, IITs and other organisations. Organising Secretary, Seminar on “Technical Reforms in Technical Education” on March 26-27, 2001 sponsored by Govt of India attended by about 110 delegates from different parts of the country including Directors of National Laborataries/ Engineering Colleges. Organising Secretary, Workshop on Project Formulation and Quality Monitoring under Pradhan Mantri Gram Sadak Yojna, on September, 2, 2005, sponsored by National Rural Roads Development Agency, Ministry of Rural Development, Govt of India, attended by 50 delegates including 5 IAS officers, Chief Engineers of Various States, Directors and Professors of various Engineering Colleges. Chairman, 59th ILA International Conference on Managing Libraries in the Changing Information World: From Surviving to Thriving, Feb 22-24, 2014, attended by Foreign delegates and Indian delegates. Organising Secretary, National Conference on “Fifteen Years of PMGSY” organized at IIT Roorkee, sponsored by National Rural Roads Development Agency (NRRDA), Ministry of Rural Development, Govt. of India, on Aug 6-7, 2016, attended by 150 delegates including Shri Ram Kripal Yadav, Minister of State for Rural Development, Govt. of India,, Shri Ramesh Pokhariyal Nishank, Ex Chief Minister, Uttarakhand, Shri Rajesh Bhusan, IAS and Director General, NRRDA, Chief Engineers of Various States, Directors of various research and academic organisations, Faculty Members from IITs, NITs and other engineering Colleges. Supported Task Force Committee Meeting for Development of Indian Highway Capacity Manual (Indo-HCM) at IIT Roorkee on Sept 9-10, 2016 as Coordinator, Transportation Engineering Group, Civil Engineering Department, IIT Roorkee. Organising Secretary, “National Conference on Roads and Transport (NCORT-2017), on completion of 170 years of Civil Engineering Education at IIT Roorkee held on October 14-15, 2017 sponsored by National Rural Roads Development Agency, Ministry of Rural Development, Govt of India, It was attended by Mr Manoj Kumar, Director General (Roads), Ministry of Roads and Transport, Govt. of India, Mr S K Nirmal, Secretary General, IRC, Dr D S Rawat, Minister for Higher Education, Govt. of Uttarakhand, Prof R J Furlonge from West Indies, Dr I K Pateriya, Director, NRRDA, Mr Uttam Kumar, Director, NRRDA, Prof Satish Chandra, Director, CRRI and about 200 delegates. Gupta A.K., Jain S. S. and Kumar Praveen, The Effect of External Atmospheric Conditions on Speed of Road- Vehicles, Journal of The Institution of Engineers (India), Vol. 73, No.2, Aug. 1992 pp. 31 - 34. Gupta, A.K. and Kumar Praveen , Development of Roads and Road Based Traffic in India, Journal of the Institution of Engineers (India), Vol.74, Sept. 1993 pp. 28-32. Gupta A.K., Khanna S.K. and Kumar Praveen, Route Choice Analysis on an Identified Rural Corridor, Indian Highways, Vol.21, No.11, Nov. 1993, pp.5 -12. Kumar Praveen, Chandra Jagdish, Durai B.K. Rural Road Characteristics-A Case Study of Jaipur District, Journal of Indian Roads Congress, New Delhi, Vol.56, Part I, No. 1 , April 1995, pp. 143-157. Kumar Praveen and Gupta A.K., Technical and Psychological Feasibillity of an Alternate Route, Journal of The Institution of Engineers (India), Vol.76, Sept. 1995, pp. 1-5. Dhawan P. K., Mehta H.S. and Kumar Praveen, Rural Road Construction Technology, Sadak Darpan, Journal of Central Road Research Institute, New Delhi, Vol. 1, Jan. 1998, pp. 17-22. Soni S.K., Durai B.K., Kumar Praveen and Murty A.V.S.R., Geographical Technology, Sadak Darpan, Journal of Central Road Research Institute, New Delhi, Vol. 1, Jan 1996, pp. 17-22. Murty A.V.S.R. and Kumar Praveen, New Possibilities for Utilization of Waste Materials System-A Technology for Transportation Engineers, Indian Highways, Vol.24, No.2, Feb. 1996, pp. 53-58. Kumar Praveen, Kumar Ashwani, Dhawan P.K., and Murty A.V.S.R., Use of Granulated Blast Furnace Slag (GBFS) in Road Construction, Journal of Central Road Research Institute, New Delhi, Vol.2, Sept. 1996, pp. 27-31. India-A Critical Review, Indian Highways, Vol. 25, Feb. 1997 pp. 5-14. Murty A.V.S.R., Mathur S. and Kumar Praveen, Use of Steel Plant Slags in Road Construction, Journal of the Institution of Engineers (India), Vol. 78, Aug. 1997, pp. 76-79. Kumar Praveen, Mathur Sudhir and Murty A.V.S.R., Technology Transfer-Need of Today, Sadak Darpan, Journal of Central Research Institute, New Delhi, Vol.3, Aug. 1997, pp. 11-13. Kumar Praveen, Kumar Ashok, Pal Anang, Effect of Road Construction on Environment, Sadak Darpan, Journal of Central Road Research Institute, New Delhi, Vol.3, Aug. 1997, pp. 56-60. Kumar Ashok, Chandra Jagdish, Durai B.K., Kumar Praveen, Planning of Rural Roads, - A Case Study of Jaipur District, Indian Highways, IRC, Vol.25, No. 11, Nov. 1997. Gupta A.K., Murty A.V.S.R. and Kumar Praveen, Steel Plant Slag as Road Construction Materials, Journal of Civil Engineering & Construction Review, New Delhi, Vol.10, No. 11, Nov. 1997. Mathur S., Murty A.V.S.R., Sharma V.N. and Kumar Praveen, Application of Steel-Plant By Products to Road Works, Highway Research Bulletin (HRB), No.57, IRC, New Delhi, Dec. 1997, pp. 35-54. Indian Engineers, Calcutta, Vol.41, No.2, Feb. 1998, pp. 19-22. Kumar Praveen, Gupta A.K., Singh D.V. and Jain S.S., Facility-Based Optimal Rural Road Network Design, Highway Research Bulletin (HRB), No.58, Indian Roads Congress, New Delhi, June 1998, pp. 109-135. Kumar Praveen, Kumar Ashwani, Dhawan P.K., and Murty A.V.S.R., Performance of Granulated Blast Furnace Slag in Road Construction -A Case Study, Indian Highways, IRC, New Delhi, Vol27, No. 7, July 99, pp. 27-34. Kumar Praveen, Planning of Rural Roads, Sadak Darpan, Journal of Central Road Research Institute, New Delhi, vol 4, Sept,1999, pp 36-39. Sikdar, P.K., Jain S.S., Bose S. and Kumar Praveen, Premature Cracking of Flexible Pavements, IRC Journal (Discussion paper, Awarded paper), New Delhi, Vol 60-3, Nov 1999, pp 355-398. Kumar Praveen and Kumar Ashwani, Steel Industry Waste Utilization in Road Sector of India, Journal of The Institution of Engineers ( India), Vol 80, Feb 2000, pp182-185. Kumar Praveen and Jain S.S.,fly Application of Facility-Based Rural Road Network Planning Model, Highway Research Bulletin (HRB) No 62, Indian Roads Congress (IRC), June 2000 pp 103-116. Chandra Satish and Kumar Praveen, Computer Aided Design of Flexible Pavement Overlays, Highway Research Bulletin (HRB) No 62, Indian Roads Congress (IRC), June 2000 pp 49-64. Kumar Praveen and Jain S.S., Optimal Rural Road Network Planning for Developing Countries, Australian Road Research Bulletin (ARRB), Vol. 9, No.3, September 2000, pp 51-66. Kumar Praveen and Jain S.S., Utilisation of Non Conventional Materials in Highway Pavements, New Building Materials and Construction World, Vol. 6, Issue-4, October 2000, pp. 13-19. Kumar Praveen, Kumar Ashwani and Swami R.K., Construction of Road Using Steel Industry Waste-A Case Study, Indian Highways, IRC, New Delhi, Vol. 29, No. 2, Feb 2001, pp. 21-34. Kumar Praveen, Jain S.S. and Singh Pankaj, Need of Intelligent Transport System for India, Journal of The Institution of Engineers (India), Vol.82, June 2001, pp63-69. Kumar Ashwani, Kumar Praveen and Murty A.V.S.R., Methodology for Maintenance of Unpaved Roads, Indian Highways, IRC, Vol. 29, No.8, August 2001, pp35-48. Mehndiratta H.C., Kumar Praveen and Gogoi Rajib, Effect of Delayed Compaction on Lime-Flyash Soil Mixes, Highway Research Bulletin (HRB) No 66, Indian Roads Congress (IRC), June 2002 pp 51-66. Kumar Praveen, Jain S.S. and Rama Kumar P.E., Computer Software for Incident Management, Highway Research Bulletin (HRB) No 66, Indian Roads Congress (IRC), June 2002 pp 173-188. Chandra Satish, Kumar Praveen and Feyissa Abesha Berhanu, Use of Marble Dust in Road Construction, International Journal of Road Materials and Pavement Design, France, Vol. 3, No. 3/2002 pp 317- 330. Kumar Praveen, Jain S.S. and Singh Pankaj, Concept and Application of Intelligent Transport System-A Case Study, Indian Highways, IRC, Vol 30, No. 11, November 2002 pp17-38. Mehndiratta H.C., Kumar Praveen and Sreedhar Maruthi, Use of Jute Textile in Road Embankments-A Case Study, Journal of the Institution of Engineers (India), Volume 83, November 2002, pp 201-207. Kumar Praveen, Use of Non-Conventional Materials in Roads- Some Case Studies, Journal of Civil Engineering and Construction Review, December 2002, pp 26-34. Kumar Praveen, Jain S.S. and Singh L.N., Lab Study on Use of Steel Industry Slag in Bituminous Mixes, Highway Research Bulletin (HRB) No. 67, Indian Roads Congress (IRC), Dec 2002, pp13-26. Kumar Praveen, Chandra Satish and Maurya A.K., Computer Application in Marshall Method of Mix Design, Indian Roads Congress, Indian Highways, Vol 31 No. 10, October 2003 pp25-43. Kumar Praveen, Chandra Satish and Singh Varun, Graphical Interface for Rural Road Accessibility Planning, Journal of Indian Roads Congress, Vol 64-1, June 2003, pp133-159. Kumar Praveen, Mehndiratta H.C. and Karri Sriniwas Rao, Computer Aided Design of Flyash Layers in Highway Embankments, Indian Highways, Indian Roads Congress, Vol 32 No. 2, Feb 2004, pp 29-52. Jain S.S., Kumar Praveen and Sharma N.K. Lt. Col., "Correlation between Benkelman Beam Deflection and Portable Falling Weight Deflectometer" Indian Highways, Indian Roads Congress, Vol 32, No.3, March 2004, pp 13-29. Kumar Praveen, Road Construction with Waste Materials, Manthan, IIT Roorkee Research Journal in Hindi, Vol 2, June 2004, pp 71-75. Kumar Praveen, Arora Manoj and Sudhakar Marem, Facility-Based Network Planning of Rural Roads Using GIS, Indian Highways, IRC, Vol 32, No. 7, July 2004, pp 5-22. Kumar Praveen and Sahoo U.C, Use of Global Positioning System (GPS) in Transportation Engineering, Indian Highways, IRC, Vol 32, No. 8, Aug 2004, pp 125-136. Kumar Praveen and Sahoo Umesh Chandra, Software for Rural Road Planning Under Pradhan Mantri Gram Sadak Yojna (PMGSY), Indian Highways, IRC, Vol 32, No. 9, Sept 2004, pp 49-59. Kumar Praveen, Agrawal Atul and Kumar Sunil, "Advanced Traveler Information System for Delhi Metro Railway", Indian Highways, IRC, Vol 32, No. 11, Nov 2004, pp21-30. Chandra Satish, Kumar Praveen and Sataya Narayan, "Computer Aided Design of Flexible Pavements", Indian Highways, IRC, Vol 32, No. 12, Dec 2004, pp5-18. Kamel Moustafa Ahmed, Chandra Satish and Kumar Praveen, Behaviour of Subgrade Soil Reinforced with Geogrid, International Journal of Pavement Engineering, Vol 5, Number 4, December 2004, USA, pp 201-210. Kumar Praveen, Singh Varun and Reddy D., GIS Based Advanced Traveler Information System for Hyderabad City, Journal of IEEE Transaction on Intelligent Transport System (ITS), Vol 6, No. 1, March 2005, Washington, USA, pp 26-37. Kumar Praveen and Reddy Dhanunjay and Varun Singh, "Traveler Information System in GIS-A Case Study of Hyderabad City", Indian Highways, IRC, Vol 33, No. 4, April 2005, pp 17-31. Kumar Praveen, Pradhan Mantri Gram Sadak Yojna, Mathan, IIT Roorkee Research Bulletin, No. 3, April 2005, pp79-81. Kamel Moustafa Ahmed, Chandra Satish and Kumar Praveen, Resilient Behaviour of Reinforced Subbase Material, Highway Research Bulletin, HRB No. 72, Indian Roads Congress (IRC), June 2005, pp 13-26. Mehndiratta H.C., Kumar Praveen and Padma T., “Natural Geotextiles in Highway Embankments" Indian Highways, Indian Roads Congress, Vol 33, No. 8, August 2005, pp57-66. Kumar Praveen, Agarwal Atul and Yoganand N.S.S., Multi-Modal Advanced Traveler Information System for Delhi Metro, Highway Research Bulletin, HRB No. 73, Indian Roads Congress (IRC), October 2005, pp 209-223. Kumar Praveen, Mehndiratta H.C. and Rokade Siddhartha, Use of Reinforced Flyash in Highway Embankments, Highway Research Bulletin, HRB No. 73, Indian Roads Congress (IRC), October 2005, pp 1-13. Mehndiratta H.C., Kumar Praveen, Borapureddy Anil Durga Prasad and Kh. Lakhshman Singh, Relationship between Rheological and Conventional Properties of Bitumen, Highway Research Bulletin, HRB No. 73, Indian Roads Congress (IRC), October 2005, pp 187-208. Kumar Praveen, Mehndiratta H.C.,Sejla Chandra Narayan, Singh Salendra Pratap, Effect of Randomly Distributed Fibers on Flyash Embankments, Civil Engineering Journal of The Institution of Engineers (India), Vol 86, Nov 2005, pp113-118. Kamel Moustafa Ahmed, Chandra Satish and Kumar Praveen, Modified AASHTO Method for Design of Geogrid Reinforced Flexible Pavements, Indian Highways, Indian Roads Congress, Vol 34, No. 1, Jan 2006, pp 49-54. Kumar Praveen, Intelligent Transport System, Manthan, IIT Roorkee Research Publication (Hindi), Vol 4, 2004, April 2006, pp67-73. Mehndiratta H.C., Kumar Praveen and Velicherla Rama Kumar, Investigations on Cost Effective Design of Rural Roads under PMGSY, Civil Engineering Journal of The Institution of Engineers (India), Vol 87, May 2006, pp48-52. Kumar Praveen, Singh Nalini and Jami T.V.Ramakanth, GIS Based Rural Road Network Planning-A Case Study of Vizianagaram District (AP), ITPI Journal, Vol 3, No. 3, July-Sept, 2006, pp30-39. Kumar Praveen, Mehndiratta H.C. and Durgarao A.K., "Use of Polythene in Flyash-Soil Embankments", HRB No. 74, Indian Roads Congress, 2006, pp29-38. Kumar Praveen, Chandra Satish and Vishal R., Comparative Study of Different Subbase Materials, Journal of Materials in Civil Engineering, American Society of Civil Engineers (ASCE)., USA, July/August 2006, Vol 18, Number 4, pp 576-580. Mehndiratta H.C., Kumar Praveen and Sateesh Kumar M., Investigation on Optimal Use of Gravel in Flexible Pavements (Discussion Paper) Journal of Indian Roads Congress (IRC). Vol 67-3. Oct-December-2006, pp 201-207. Kumar Praveen and Lal M.K., Computer Aided Design of Rural Roads, Journal of Indian Roads Congress (IRC). Vol 67-3. Oct-December-2006, pp 261-270. Kumar Praveen, Varun Singh and Venkateshwar Avvari, Advanced Traveller Information System for Delhi Metropolitan City, Indian Highways, Indian Roads Congress, Vol 35, No. 5, May 2007, pp 39-49. Kumar Praveen and Singh Shalendra Pratap, Reinforced Flyash Sub-bases in Rural Roads, Journal of Indian Roads Congress (IRC). Paper No. 531 (Discussion Paper), Vol 68-1. April-June, 2007, pp 65-75. Mehndiratta H.C., Kumar Praveen and Akisetty Chandra Kiran Kumar, Effect of Mixing and Compacting Temperature on Physical Properties of Bituminous Mixes, Journal of Indian Roads Congress (IRC), Vol 68-1. April-June, 2007, pp 79-89. Kumar Praveen, Mehndiratta H.C. and Ahmed Matin, A Parametric Study on Shape of Aggregates affecting Surface of Flexible Pavements, HRB No. 77, Indian Roads Congress (IRC), October 2007, pp37-46. Kumar Praveen, Mehndiratta H.C. and Toshniwal G.R., Effect of Jute Textile in Various Layers of Pavement,. HRB No. 77, Indian Roads Congress(IRC), October 2007, pp55-61. Kumar Praveen and Singh Shalendra Pratap, Fiber Reinforced Fly Ash Sub-bases in Rural Roads, Journal of Transportation Engineering, American Society of Civil Engineers (ASCE), Vol 134, No. 4, April 2008, pp171-180. Kumar Praveen and Reddy Ramanjaney, Study of Reinforced Embankments and Sub-base Using Demolition Waste, Journal of Scientific and Industrial Research (JSIR), Vol 67, May 2008, pp386-391. Kumar Praveen, Mehndiratta H.C. and Reddy R.D.K., Use of Glass Grid in Pavement Layers, Civil Engineering Journal of The Institution of Engineers (India), Vol 89, May 2008, pp33-36 ( Awarded Paper). Kumar Praveen and Singh Veerendra, Use of Flyash Layer of Pavement, Indian Highways, Indian Roads Congress, Vol 36, No. 8, Aug 2008, pp 41-50. Kumar Praveen and Saxena Anukul, Upgradation Planning of Rural Roads in GIS Environment, Indian Highways, Indian Roads Congress, Vol 36, No. 10, Oct 2008, pp 13-21. Kumar Praveen, Mehndiratta H.C. and Singh Veerendra, Fly Ash/Lime-Fly Ash/Lime as Filler in Bituminous Mixes-A Comparative Study, International Journal of Pavements (IJP), Brazil, Vol 6, No. 1-2-3, 2008, pp 89-99. Sinha Abdhesh Kumar, Kumar Praveen and Chandra Satish, Behaviour of Industrial Waste Materials under Cyclic Loading, Highway Research Journal, HRB, Indian Roads Congress, Vol. 1, No2, July-December 2008, pp 21-27. Kumar Praveen, Singh Varun & Avaari Venkat, Intelligent Transport System for Developing Countries, Journal for “World Review of Intermodal Transportation Research”, Switzerland, Vol 2, No. 2/3, 2009, pp 201-217. Kumar Praveen and Sorum N.G., A Comparative Study of Emulsion and Modified Bitumen in Road Construction, Indian Highways, Indian Roads Congress, Vol 37, No. 3, March 2009, pp 21-31. Kumar Praveen and Pandey Gaurav, Use of Oil and Phosphates in Soil Stabilization, Indian Highways, Indian Roads Congress, Vol 37, No. 5, May 2009, pp 25-30. Kumar Praveen, Mehndiratta H.C.& Singh Lakshman, Effect of Mixing of SBS, EVA and Crumb Rubber on Properties of Bituminous Binders, Highway Research Journal, HRB, Indian Roads Congress, Vol. 2, No1, January-June 2009, pp 11-40. Kumar Praveen and Patel Vishal, Effect of Various Parameters on Performance of PMGSY Roads, Civil Engineering Journal of The Institution of Engineers (India), Vol 90, Aug 2009, pp1-8. Kumar Praveen, Mehndiratta H.C. and Singh K.Lakshman, Rheological Properties of Crumb Rubber Modified Bitumen-A Lab Study, Journal of Scientific and Industrial Research (JSIR), Vol 68, No. 9, September 2009, pp812-816. Kumar Praveen , Mehndiratta H.C. and Immadi Satish, Investigation on Fiber Modified Bituminous Mixes-An Experimental Study in India, Transportation Research Record, No. 2126, ISSN 0361-1981, TRB Journal, USA, 2009, pp91-99. Kumar Praveen and Kumar Ranjeet, Software Development for Multipath Route Assignment Technique, Indian Highways, Indian Roads Congress, Vol 37, No. 12, December 2009, pp 13-21. Kumar Praveen and Varshney G.K., “Comparative Computer Aided Design of Low Volume Roads” Indian Highways, Indian Roads Congress, Vol 38, No. 2, Feb 2010, pp17-24. Kumar Praveen and Singh Veerendra, Use of Flyash in Bituminous Pavements, Journal of Civil Engineering & Construction Review (CE&CR), Vol 23, No. 3 March 2010, pp 106-113. Kumar Praveen and Singh Shalendra Pratap, Closure to Discussion on paper Fiber Reinforced Fly Ash Sub-bases in Rural Roads, Journal of Transportation Engineering, American Society of Civil Engineers (ASCE), Vol 136, No. 4, April 2010, pp401. Kumar Praveen, Chandra Satish and Sajid M.D.A., Performance Study of PMGSY Roads, Indian Highways, Indian Roads Congress, Vol 38, No. 6, June 2010, pp17-24. Kumar Praveen and Garg Rashi, Laboratory Studies on Waste Plastic Fibre Modified Bitumen,Vol. 3, No.1, Highway Research Journal, HRB, Indian Roads Congress (IRC), June 2010 pp45-60. Singh Varun and Kumar Praveen, Web Based Dynamic Advanced Traveler System for Developing Countries Journal of Transportation Engineering, American Society of Civil Engineers (ASCE), Vol 136, Issue 9, September 2010, pp836-845. Kumar Praveen and Gupta Ankit, Provision of Rigid, Semi Rigid and Flexible Pavements as Rural Roads, New Building Materials & Construction World, Vol 16, Issue-3, Sept , 2010, pp 160-167. Kumar Praveen, Mehndiratta H.C. and Singh K.Lakshman, Comparative Study of Rheological Behaviour of Modified Binders, Journal of Materials Engineering, American Society of Civil Engineers (ASCE), Vol 22, Issue 10, October 2010, pp978-984. Kumar Praveen and Singh Varun, Implementation of Data Tier in Advanced Traveller Information System (ATIS), Indian Highways, Indian Roads Congress, Vol 38, No.12, Dec 2010, pp33-46. Kumar Praveen and Chandra Nikesh, Laboratory Studies of Skid Resistance and Rutting of Low Cost Bituminous Wearing Courses, Indian Highways, Indian Roads Congress, Vol 39, No. 6, June 2011, pp21-31. Gupta Ankit, Kumar Praveen and Rastogi Rajat, Pavement Deterioration and Maintenance Model for Low Volume Roads, International Journal of Pavement Research and Technology, Vol 4, No. 4, July 2011, pp195-202. Kumar Praveen, Garg R.D., Durai B.K. and Subramanyam A.S., Upgradation Planning of Rural Roads Using GIS and GPS, Indian Highways, Indian Roads Congress, Vol 39, No. 8, August 2011, pp33-46. Kumar Praveen and Suman Sanjeev, ITS Technologies for Advanced Public Transportation Systems (APTS), Indian Highways, Indian Roads Congress, Vol 39, No. 9, September 2011, pp51-68. Kumar Praveen, Garg Rashi, Rheology of Waste Plastic Fibre Modified Bitumen, published online by International Journal of Pavement Engineering (IJPE), Taylor and Francis, Vol 12, No. 5, October 2011, pp449-459. Gupta Ankit, Kumar Praveen and Rastogi Rajat, A Critical Review of Flexible Pavement Performance Models Developed for Indian Perspective, Indian Highways, Indian Roads Congress, Vol 40, No. 3, March 2012, pp41-60. Kumar Praveen, Rastogi Rajat, Gupta Ankit and Jain Akash, Land-Uses and Activity- Based Traffic Forecasting Model, Indian Highways, Indian Roads Congress, Vol 40, No. 4, April 2012, pp25-41. Kumar Brind, Ransinchung R.N. G.D., Kumar Praveen and Patil Digvijay Ananda, Are the Gradation Limits of Bituminous Concrete Grade-1 Rut Resistant, Indian Highways, Indian Roads Congress, Vol 40, No. 5, May 2012, pp33-45. Kumar Praveen, Maurya M.R., Gupta Manoj & Maninder Singh” Lab Study on Chemical and Rheological Changes in Modified Binders”, Highway Research Journal, IRC, Vol 5, No. 1, Janury-June 2012, pp 1-13. Kumar Praveen and Anand P. Maj, Laboratory Study on Moisture Susceptibility of Various Bituminous Courses, Journal of Transportation Engineering, American Society of Civil Engineers (ASCE), Vol 138, No.1, Jan 2012, pp 105-113. Kumar Praveen, Suman Sanjeev and Meena Rishi Kesh, Advanced Traveller Information System for Historical Cities, Indian Highways, Indian Roads Congress, Vol 40, No. 7, July 2012, pp17-29. Suman Sanjeev and Kumar Praveen, Web GIS based Advanced Public Transport System (APTS) using MapServer and Ant Algothithm, Indian Highways, Indian Roads Congress, Vol 40, No. 9, September 2012, pp41-55. Kumar Praveen and Shivkumar A K. Col., A Laboratory Study on Mastic Asphalt, Indian Highways, Indian Roads Congress, Vol 41, No. 1, January 2013, pp39-56. Singh Maninder, Kumar Praveen, Maurya M.R., “Evaluating Properties of Modified Bitumen Before and After Ageing”, International Journal of Global Technology Initiatives ISSN 2277-6591,Vol 1, March 2012, pp 1-7. Ransinchung R N G D, Chauhan Arun Prakash, Anupam Aditya Kumar and Kumar Praveen, Influence of Moisture Content on Use of Recycled Aggregates in PQC, International Journal of Global Technology Initiatives ISSN 2277-6591, Issue 1, March 2012 ppA8-A15. Singh Maninder, Kumar Praveen, Maurya M.R., Strength characteristics of SBS modified asphalt mixes with various aggregates. International Journal of Construction and Building Materials. (Elsevier), Vol 41, 2013, pp815-823. Kumar Praveen and Anand P. Maj, Laboratory Study on Mastic Asphalt, Indian Highways, Indian Roads Congress, Vol 41, No. 7, July 2013, pp17-24. Kumar Praveen, Khan Md Tanveer and Singh Maninder, Study on EVA Modified Bitumen, Journal of Elixir Chemical Engineering, Vol 54 A, 2013, pp 12616-12618. Kumar Praveen and Sharma Shashi Kant, Prediction of Equivalency Factors for Various Subbase and Base Courses, Journal of Materials in Civil Engineering, American Society of Civil Engineers (ASCE), Vol 25, No.10, October 2013, pp 1357-1365. Kumar Praveen and Mishra Shambhavi, Artificial Swarm Intelligence for attaining the Objectives of Intelligent Transport Systems, International Journal of Engineering Research and Technology (IJERT), ISSN No. 2249-3131, Volume 6, Number 8, 2013, pp75-78. Sharma Shashikant, Anupam Aditya Kumar, Ransinchung G.D R.N. and Kumar Praveen, “Micro Fiber Reinforced Cement Paste and Mortar Overlays – A Review”, International Journal of Pavement Research and Technology, China, Vol 6, No. 6, Nov. 2013 pp 765-772. Kumar Praveen, Mishra Shambhavi and Saboo Nikhil, A Laboratory Study on Short Term and Long Term Ageing of Bitumen using Modifiers, Indian Highways, Indian Roads Congress, Vol 41, No. 12, December 2013, pp41-52. Gupta Ankit, Kumar Praveen and Rastogi Rajat, Critical Review of Flexible Pavement Performance Models, KSCE Journal of Civil Engineering, Korea, Springer, Vol. 18, No.1, Jan 2014, pp142-148. Sinha Abdhesh K., Chandra Satish & Kumar Praveen, Finite Element Analysis of Flexible Pavement with Different Subbase Materials, Indian Highways, Indian Roads Congress, Vol 42, No. 2, February, 2014, pp57-67. Anupam Aditya Kumar, Kumar Praveen and Ransinchung R N G D, Performance Evaluation of Structural Evaluation of Structural Properties for Soil Stabilized Using Rice Husk Ash, International Journal of Roads Materials and Pavement Design, Taylor & Francis March 2014 (published online). Ransinchung R N G D, Kumar Praveen, Kumar Brind, Anupam Aditya Kumar and Chauhan Arun Prakash, Laboratory Evaluation for the Use of Moorum and Ganga Sand in Wet Mix Macadam Unbound Granular Base Course, Indian Highways, Indian Roads Congress, Vol 42, No. 4, April 2014, pp39-45. Singh Maninder, Kumar Praveen, Maurya M.R., Effect of Aggregate Types on Neat and EVA modified Bituminous Asphalt Mixtures. International Journal of Pavement Engineering, Taylor and Francis, 2013, pp1-11. Sharma Shashikant, Ransinchung G.D R.N. and Kumar Praveen, Role of Wollastonite Micro Fiber in Rigid Pavement, INROADS, Special Issue, Journal of Indian Journal.com, Vol 3, No. 1, Jan-June 2014, pp 192-196. Anupam Aditya Kumar, Kumar Praveen and Ransinchung G D R.N, Analysing the suitability of Waste Materials for Road Construction, International Journal on Science and Technology Review (IJSTR), Vol 1, No. 1, 2014, pp 69-75. Singh Maninder, Kumar Praveen and Maurya M R, Infra Red and Thermal Analysis of Neat and Modified Bitumen, Journal of Indian Roads Congress, Paper no. 614(Discussion paper) Vol 74-4, April-June 2014, pp103-112. Suman Sanjeev and Kumar Praveen, Ant Colony Optimization Algorithms for Vehicle Routing, Route Planning and Scheduling, Highway Research Journal, Indian Roads Congress, Vol 7, No. 1, January –June, 2014, pp55-65. Kumar Praveen, Ransinchung G. D. R. N and Anupam Aditya Kumar, Use of Fine Grained Waste Materials in Highway Construction-A Review, Indian Highways, Indian Roads Congress, Vol 42, No. 7, July 2014, pp67-76. Kumar Praveen, Ransinchung G.D R.N. and Kandari D. S., A Comparative Laboratory Study on Permeability of Sub Base Materials using Chemical Additives and Fibers, Indian Highways, Indian Roads Congress, Vol 42, No. 9, September, 2014, pp25-30. Gupta Ankit, Kumar Praveen and Rastogi Rajat, Performance Evaluation and Design Criteria for Low Volume Flexible Pavements, Indian Highways, Indian Roads Congress, Vol 42, No. 12, December 2014, pp35-42. Ransinchung GD RN, Kumar Praveen and Jindal Abhishek, Influence of Recycled Aggregates on Mechanical & Permeability Properties of Pavement Quality Concrete (PQC), Indian Highways, Indian Roads Congress, Vol 42, No. 12, December 2014, pp29-34. Gupta Ankit, Kumar Praveen and Rastogi Rajat Mechanistic-Empirical Approach for Design of Low Volume PavementS, International Journal of Pavement Engineering (IJPE), Taylor & Francis, Vol 16, No. 9, 2015, pp 1-12. Kumar Praveen, Suman Sanjeev and Mishra Shambhavi, Online Ticketing System Development for Web GIS Based APTS” Indian Highways, Indian Roads Congress, Vol 43, No. 1, January 2015, pp15-18. Saboo Nikhil and Kumar Praveen, Study of flow behavior for predicting mixing temperature of bitumen, Construction and Building Materials, Journal of Elsvier, Vol 87, July 2015, pp38-44. Saboo Nikhil and Kumar Praveen, Optimum Blending Requirements for EVA Modified Binder, International Journal of Pavement Research and Technology, Vol 8, No. 3, May 2015, p172-178. Gupta, A., Kumar, P. and Rastogi, R.. “Critical Pavement Response Analysis of Low Volume Pavements Considering Non Linear Behavior of Materials”, Transportation Research Record (TRR), Journal of the Transportation Research Board (TRB), Vol. 2474, 2015, pp. 3-11. Saboo Nikhil and Kumar Praveen, A Study on Creep and Recovery Behavior of Asphalt Binders, Building and Construction Materials, Journal of Elsevier, Vol 96, October 2015, pp 632-640. Singh Maninder and Kumar Praveen, Determination of Mixing and Compacting Temperatures for Neat and Modified Bitumen, Indian Highways, Indian Roads Congress, Vol 43, No. 10, October 2015, pp15-23. Kumar Praveen and Mishra Shambhavi, Application of Swarm Intelligence in Road Network Design-A Review, Indian Highways, Indian Roads Congress, Vol 43, No. 9, September 2015, pp13-23. Singh Maninder, Kumar Praveen and Anupam Aditya Kumar, Effect of Type of Aggregate on Permanent Deformation of Bituminous Mixes, Journal of Road Materials and Pavement Design, Taylor and Francis, Nov 29, 2015 (Published Online). Saboo Nikhil and Kumar Praveen, Use of Flow Properties for Rheological Modelling of Bitumen, International Journal of Pavement Research and Technology (IJPRT), Elsvier, Vol 9, No.1, January 2016, pp 63-72. Saboo Nikhil and Kumar Praveen, Performance Characterization of Polymer Modified Asphalt Binders and Mixes, Advances in Civil Engineering, Hindwai Publication, January 2016, pp 1-12. Saboo Nikhil and Kumar Praveen, Analysis of different test methods for quantifying Rutting Susceptibility of Asphalt Binders, Journal of Materials in Civil Engineering, ASCE, Vol 28, No. 7, January 2016, pp1-8. Kumar Praveen, Ransinchung G.D R.N., Mehta Mayank Lt. Col. and Saboo Nikhil, A study on Performance of Bituminous Mixes using Falling Weight Deflectometer (FWD) , Indian Highways, Indian Roads Congress, Vol 44, No. 3, March 2016, pp25-37. Singh S., Ransinchung G D R N, Sachdeva S N, Kumar P and Parida M, Effect of Modulus of Subgrade Reaction on Thickness of Rigid Pavement-A Case Study, Journal of the Indian Roads Congress, (Discussion paper)Volume 76-4, Jan-March 2016, pp 239-248. Singh Bhupendra, Saboo Nikhil and Kumar Praveen, Modelling the Complex Modulus Strain Relationship of Asphalt Binders, Journal of Petroleum Science and Technology, Taylor & Francis, Vol 34, No. 13, September 2016, pp1137-1144. Saboo Nikhil, Das Bhaskar Pratim and Kumar Praveen, New Phenomenological Approach for Modeling Fatigue Life of Bituminous Mixes, Construction and Building Materials, Elsveir, Vol 121, No. 9, September 2016, pp 134-142. Jindal Abhishek, Ransinchung R N & Kumar Praveen, Study of Pavement Quality Concrete Aggregates, Journal of Road Materials and Pavement Design, Taylor and Francis, October, 2016, pp 1-31. Kumar Praveen, Suman Sanjeev, and Mishra Shambhavi, Shortest Route Finding by Ant System Algorithm in Web Geographical Information System-Based Advanced Traveller Information System, The Journal of Engineering published by the Institution of Engineering and Technology (IET), 2014, pp1-11. Anupam Aditya Kumar, Kumar Praveen and Ransinchung G. D. R. N ,Laboratory Study on Performance of Various Agricultural and Industrial Waste Materials in Road Construction” Indian Highways, Indian Roads Congress, Vol 45, No. 5, May 2017, pp13-28..
Singh Surendra, Ransinchung G D R N and Kumar Praveen, An Economical Processing Technique to Improve RAP Inclusive Concrete Properties, Construction and Building Materials, Elsevier Pubication, vol 148, 2017, pp734-747. Kumar Praveen, Saboo Nikhil & Radhika, Effect of Sulphur Mixing on Storage Modulus of SBS Modified Bitumen, Indian Highways, Indian Roads Congress, Vol 45, No. 6, June 2017, pp39-50. Kumar Praveen, Tiwari Shobhit and Saboo Nikhil, Effect of Temperature on Deflection values obtained using Falling Weight Deflectometer”, Highway Research Journal, Indian Roads Congress, June 2017, pp1-8. Kumar Praveen, Saboo Nikhil and Das Bhaskar Pratim, A Comparative Study of Dense and Gap Graded Mixes prepared using Modified binders” (Discussion Paper) Journal of Indian Roads Congress, June 2017, pp27-36. Singh Bhupendra, Saboo Nikhil and Kumar Praveen, Use of Fourier Transform Infrared Spectroscopy to Study Ageing Characteristics of Asphalt Binders, Journal of Petroleum Science and Technology, Vol 35, No. 16, Nov 2017, pp1648-1654. Singh Surendra, Ransinchung G D R N and Kumar Praveen, Effect of Mineral Admixtures on Fresh, Mechanical and Durability Properties of RAP Inclusive Concrete, Construction and Building Materials, Elsevier Publication, 156, 2017, pp19-27. Singh, S., Ransinchung, G.D.R.N., Kumar, Praveen, “Feasibility study of RAP Aggregates in Cement Concrete Pavements” Road Material Pavement Design. 629, 2017, pp1–20. Singh, S., Ransinchung, G. D. R.N., Debbarma, S., and Kumar, P. (2017). “Utilization of reclaimed asphalt pavement aggregates containing waste from Sugarcane Mill for production of concrete mixes.” Journal of Cleaner Production 174, 42-52. Singh Bhupendra and Kumar Praveen, Investigating the Performance of Conventional Asphalt Binders, European Transport Journal , No. 3, Issue 66, 2017, pp1-9. Journal of Mechanics of Time-Dependent Materials. Singh Surendra, Ransinchung G D R N and Kumar Praveen, Laboratory Investigation of Concrete Pavements containing Fine RAP Aggregates, Journal of Materials in Civil Engineering, ASCE, Vol 30, No. 2, Dec 2017, pp04017279/1-9. Saboo Nikhil and Kumar Praveen, Equivalent Slope Method for Construction of Master Curve, Indian Highways, Indian Roads Congress, Vol 46, No. 2, Feb 2018, pp19-28. Singh, S., Ransinchung, G. D. R.N., Kumari M., and Kumar, Praveen. “Laboratory investigation of RAP Aggregates for Dry Lean Concrete Mixes.” Construction and Building Materials, Elsevier, 2018, pp808-816. Sharma, S.K., Ransinchung, R.N., and Kumar, P. (2017). “Comparison of permeability and drying shrinkage of SCC admixed with Wollastonite micro fiber and flyash.” IJE Transactions B: Applications Vol. 30, No. 11, 1518-1527. Kumar Rajiv, Saboo Nikhil, Kumar Praveen and Chandra Satish, Effect of Warm Mix Additives on Creep and Recovery Response of Conventional and Polymer Modified Asphalt Binders, Construction and Building Materials, vol 138, 2017, pp 352-362. <>180Saboo  Nikhil and Kumar Praveen, Analysis of Creep and Recovery for Modified Binders, Indian Highways, Indian Roads Congress,  Vol 46, No. 6, June 2018, pp31-68. Kumar Praveen and Mishra Shambhavi, A Review of Ant Algorithm and its Variants in Reference to Vehicle Routing Problems in Transportation Engineering, Highway Research Journal, Indian Roads Congress, Vol 9, No.1 Jan-June 2018, pp43. Singh Surendra, Ransinchung G D R N and Kumar Praveen Performance Evaluation of RAP Concrete in Aggressive Environment, Journal of Materials in Civil Engineering, ASCE, Vol 30, No. 10, July 2018, pp04018231/1-12. Singh, Surender., Shintre D., Ransinchung, G. D.R.N., and Kumar, P., “Performance of fine RAP concrete containing flyash, silica fume and bagasse ash”, Journal of Materials in Civil Engineering, ASCE, Vol 30, No. 10, July 2018, pp04018233/1-11. Kumar Praveen, Gurmesh and Mishra Shambhavi, Development of Incident Management System using Ant System Algorithm and Black Board Architecture, Indian Highways, Indian Roads Congress, Vol 46, No. 10, October 2018, pp39-47. Saboo Nikhil, Kumar Rajiv, Kumar Praveen and Gupta Ankit Ranking the rheological response of SBS and EVA modified bitumen using MSCR and LAS test, sent to , Accepted for Journal of Materials in Civil Engineering, ASCE. Ransinchung G.D R.N., Kumar Praveen, Kumar Brind and Chauhan Arun Prakash, Laboratory Evaluation for the use of Moorum and Ganga Sand in Wet Mix Macadam Unbound Granular Base Course, sent for publication to IRC. Ransinchung GD RN, Kumar Praveen and Jindal Abhishek, Use of Wollastonite Micro Fiber in Self Compacting Concrete as part Replacement of Sand, sent to International Journal of Pavement Research and Technology (IJPRT). Ransinchung GDRN, Kumar Praveen Chauhan Arun Prakash and Anupam Aditya Kumar, Evaluation of Efficacy of Recycled Aggregates for Use in Pavement Quality Concrete under different Moisture States, sent to International Journal of Pavement Research and Technology (IJPRT). Jindal Abhishek, Ransinchung RN GD, Kumar Praveen and Mudali AK, Effect of Recycled Concrete Aggregates on Fresh and Hardened properties of PQC Mix, sent to IRC for Publication. Singh Varun, Singh Tarun and Kumar Praveen, Spatial Database Models for Web GIS Based ATIS for Transition Countries, sent to International Journal of Intelligent Transportation Systems Research. Jindal Abhishek, Ransinchung G D R N and Kumar Praveen, Rehabilitation Prospects of Concrete Pavements with Self Compacting Concrete Containing Wollastonite Micro-Fiber, sent to Construction and Building Materials. Saboo Nikhil and Kumar Praveen, Rheological investigation of SBS and EVA modified bitumen using MSCR and LAS test, sent to Springer Journal. Saboo Nikhil and Kumar Praveen, Investigating the rheological response of SBS and EVA modified bitumen using MSCR and LAS test" sent to the Journal of Testing and Evaluation. Sharma, S.K., Ransinchung, R.N., and Kumar, P., "Retrofitting of PQC with Wollastonite Micro Fiber Reinforced SCC." , International Journal of Concrete Structures and Materials (IJCS), IJCS-D-17-00428. (SCI) Under consideration. Singh, S., Ransinchung, G.D.R.N., and Kumar P., “Effect of mineral admixtures on properties of dry lean concrete containing coarse RAP aggregates.” Sent to J. Trans. Eng., ASCE. Kumar Praveen and Verma Ankit, Use of Anti Stripping Agent in Modification of Bitumen, sent to IRC. Kumar Praveen and Ojha Anshul, Coir Reinforcement in Non- Bituminous Layers of Pavement, sent to IRC. Saboo Nikhil and Kumar Praveen Shear Rate Dependence of Asphalt Binders for Evaluation of Mixing And Compaction Temperatures, sent to IRC. Kumar Praveen, Walia Ashish and Chaudhary Aditya, “Effect of Seasonal Variation on FWD Response of Low Volume Road”, Sent to Journal of Indian Road Congress, New Delhi. Gupta A.K., Jain S.S. and Kumar Praveen, Traffic Flow Behaviour on Single Lane and Double Lane Intercity Roads on an Identified Route, 71st Annual Conference, The Institution of Engineers (India), Nov. 1991, pp. 21-25. Parasher, B.L. and Kumar Praveen, Road Construction Materials Developed by Central Road Research Institute, Technical Conference on New Technologies, Pilani (Raj. ), Sept. 1994, pp. 34. Kumar Praveen, Kumar Ashok, Chandra Jagdish, Gupta A.K., Need and Impact of Rural Roads, International Conference on Roads and Road Transport (ICORT-95), New Delhi organised by University of Roorkee, Dec. 95, pp. 1493-1500. Kumar Ashok, Kumar Praveen, Mathur Sudhir, and Murty A.V.S.R., Standards for Design of Rural Roads, International Conference on Roads and Road Transport (ICORT-95), New Delhi, organised by University of Roorkee, Dec. 95, pp. 1501-1508. Kumar Praveen and Murty A.V.S.R., Research and Marketing View, National Seminar on Research Achievements, 29-31 Aug., 1996, pp. 59-60. Parashar B.L. and Kumar Praveen, Road Research and Construction Technology, National Seminar on Research Achievements, 29-31 Aug.1996, pp. 69-70. Kumar Praveen, Kumar Ashok and Gupta A.K., Planning Strategies for Rural Roads, Seminar on Perspective Planning for Road Development in India, Indian Roads Congress, New Delhi, 7-8 Oct., 1996, pp. 163-167. Kumar Praveen, Mathur Sudhir and Murty A.V.S.R., Use of Steel Slags in Road Construction, National Seminar on Environment, Pune, 10-12 Dec., pp. 54-55. Kumar Praveen, Mathur Sudhir and Murty A.V.S.R., Use of New Road Construction Technologies, National Seminar on Modern Technologies and Rural Development, NISTAD, New Delhi, 27-29, March, 1997, pp. 54-55. Kumar Praveen, Swami, R.K., Kumar Ashwani and Murty, A.V.S.R., Use of Marginal Materials in Road Construction, National Seminar on Environment Pollution, Central Building Research Institute, Roorkee, 15 Sept., 1997, pp. 1B(4)/1-3. Mathur Sudhir, Kumar Praveen and Murty A.V.S.R., Steel Industry Wastes as New Materials for Road Construction, Fourth International Conference on Case Histories in Geotechnical Engineering, St. Louis, USA, 8-15 March, 1998, pp. 9.03/1-4. Mathur S., Kumar Praveen, Swami, R.K., and Murty A.V.S.R., Structural Evaluation of Slag Mixes for Road Pavements, Indian Geotechnical Conference 1997, Baroda, Nov., 1997. pp. 411-413. Kumar Praveen, Murty A.V.S.R. and Gupta A.K., Home Made Technologies in Reverse Direction, National Conference on Liberalization, Lucknow, No. 97, pp.27. Jain S.S., Kumar Praveen, Application of Intelligent Transport System in India, proc. of International Seminar on Highway Management & Safety Devices, IRC, New Delhi, Nov. 6-7, 1998. Kumar Praveen, Jain S.S. and Singh D.V., Facility Based Rural Road Transportation Planning, Seminar on "Road Transportation-Issues and Strategies (RTIS 98), Patiala, October 23-24, 1998. Kumar Praveen, Jain S.S. and Kumar Ashwani, Use of Steel Industry Waste in Road Construction, Technical Session, 78th AGM, U.P. State Centre, The Institution of Engineers (Lucknow), Nov. 1998. Kumar Praveen, Chandra D. and Murty A.V.S.R., Steel Industry Slag-Waste or Gold for Road Construction, proc. of International Symposium on Beneficiation, Agglomeration and Environment (ISBAN-99), Bhubneshwar, Jan. 20-22, 1999, pp. 298-305. Kumar Praveen, Jain S.S., A Network Approach to Rural Road Planning, proc, of South Asian Countries Conference on Challenges to Architects and Civil Engineers, Kathmandu, Nepal, April 7-9, 1999, pp. 1290-1305. Kumar Praveen, Kumar Ashwani and Jain S.S., Use of Non Conventional Materials in Road Construction, proc. of National Seminar on User & Environment Friendly Construction Technology and Methods, Nainital, May 14-15, 1999. Kumar Praveen, Jain S.S., Equipments for Pavement Condition Assessment, Proc. of “International Seminar on Highway Rehabilitation and Maintenance” organised by IRC, New Delhi, Nov. 12-13, 1999. Kumar Praveen, Kumar Ashwani, Mathur Sudhir, Utilization of Industrial Solid wastes in Road Construction, International Conference on “ Environmental Challenges for the New Millenium ( ECNM99), organised by Jamia Millia Islamia, New Delhi, Nov. 25-27,1999. Jain S.S., Kumar Praveen, Traffic Control of Inter-state Highway Corridors using Intelligent Transport System Technique, Proc of All India Seminar on “ Development of Inter-state Highway Corridors in India” organised by American Society of Civil Engineers- India Section, Calcutta, Dec 3-4, 1999. Kumar Praveen, Jain S.S., and Parida M., Non-Motorised Transport, 79th Annual Technical Volume published by The Institution of Engineers (India), UP Sate Centre, Lucknow, Dec.24-25, 1999. Kumar Praveen and Jain S.S., “Utilisation of Non Conventional Materials in Road Construction”, Proc of Second Asia Pacific Conference & Exhibition on Transportation and the Environment, Beijing, P.R.China, April 11-13,2000. Kumar Praveen, Jain S.S.Jain and Parida M., “Future of Non-Motorised Transport in Developing Countries” Proc of CODATU Conference, Mexico, April,2000. Kumar Praveen, Kumar Ashwani and Swami R.K., Utilization of Industrial Solid Wastes in Road Construction, proc of National Conference on Commercialization Aspects of Renewable Energy Sources, Udaipur, April 28-29, 2000. Kumar Praveen and Jain S.S., Incident Management Using Intelligent Transport System, Seminar on “Financing, Implementation and Operation of Highways in 21st Century, Indian Roads Congress, New Delhi, Sept. 24-25, 2000, pp III 1-10. Kumar Praveen, Flyash Utilisation in Road Embankment of Indo-Japan Friendship Bridge, 80th Annual Technical Session, Lucknow, UP State Centre, The Institution of Engineers (India), December 23, 2000 pp49-55. Kumar Praveen and Jain S.S., Planning of Rural Road Network-An Engineering Approach, 80th Annual Technical Session, Lucknow, UP State Centre, The Institution of Engineers (India), December 23, 2000 pp 56-63. Kumar Praveen, Jain S.S. and Singh D.V., Computer Aided Design of Rural Road Networks, Proc. of seminar on “National Connectivity Vision: Surface Transportation & Communication” Jan 19-20, 2001, Secundrabad (AP). Chandra S., Kumar Praveen and Abesha Berhanu, Effect of Filler on Properties of Bituminous Mixes, Proc. of seminar on Challenges for Road Transportation in 21st Century leading to Fuel Economy (CERT-2001), Patiala, Feb 23-24, 2001, pp38-44. Hardas M.K., Jalla Raj and Kumar Praveen, Education, Employment and Information Technology in Current Scenario, Proc. of Seminar on Reforms in Technical Education, UOR, Roorkee, March 26-27, 2001, pp91-93. Kumar Praveen and Chandra Satish, Accessibility Planning for Sustainable Development of Uttaranchal, Proc. of All India Seminar on Infrastructure Development in Uttaranchal, Problems and Prospects, The Institution of Engineers (I), Roorkee, October 11-13, 2001, ppIII34-44. Kumar Praveen, Mathur Sudhir, Kumar Ashwani and Swami R.K., Appropriate Technology for Use of Local Resources in Road Construction, Proc. of International Seminar on Sustainable Development in Road Transport, Organised by Indian Roads Congress, New Delhi (India)and PIARC, Paris(France), Nov 8-10, 2001, ppI295-305. Kumar Praveen, Mathur Sudir, Kumar Ashwani and Swami R.K., New Materials for Road Construction, Proc. of National Conference “Advances in Construction Materials, Organised by R.E.C.Hamirpur, dt April 8-9, 2002, pp44-52. Chandra Satish, Kumar Praveen and Moustafa Ahmed Kamel, Geosysnthetics in Highway and Airport Construction,, Proc. of National Conference “Advances in Construction Materials, Organised by R.E.C.Hamirpur, dt April 8-9, 2002, pp175- 180. Chandra Satish and Kumar Praveen, Engineering Properties of Bituminous Concrete with Marble Dust, Proc of 4th International Conference on Road & Air Field Pavement Technology, Kunming, Yunnan Province, P.R.China, April 23-25, 2002, pp1009-1016. Kumar Praveen and Reddy Dhanunjay, “Intelligent Transport System-A Tool for Traffic Engineering”, proc of National Seminar on Road Transport in India: Emerging Trends & Techniques ROTRAN 2002, IIT Kharagpur, September 12-13, 2002. Kumar Praveen and Reddy Dhanunjay, Intelligent Transport System, 82nd Technical Session, The Instution of Engineers, UP State Centre, Lucknow October 26, 2002. Kumar Praveen, Reddy D. and Singh Varun, Intelligent Transport System Using GIS, Paper No. 164, Proceedings of Map India 2003, 6th Annual International Conference, Delhi, Jan 28-31, 2003, pp1-11. Kumar Praveen, Singh Varun and Reddy D., GIS Based Advanced Traveler Information System for Hyderabad City, Proc of International Conference on Intelligent Transportation Systems, Shanghai, China, October 12-16, 2003. Mehndiratta H.C., Kumar Praveen and Padma T., "Use of Natural Geotextiles in Highway Embankments-A Lab Study", Indian Geotechnical Conference on Geotechnical Engineering for Infrastructural Development, Roorkee, Dec 18-20, 2003. Kamel M.A., Chandra Satish and Kumar Praveen., "Optimum Position of Geogrid Reinforcement in Soil Subgrade", Indian Geotechnical Conference on Geotechnical Engineering for Infrastructural Development, Roorkee, Dec 18-20, 2003. Kumar Praveen, Singh Varun, Singh Tarun, ‘Role of GIS Based Intelligent Transpotation System in India’, 7th International Map India Conference on GIS, GPS and RS, New Delhi, Jan 28-30, 2004. Kumar Praveen and Singh Varun, ‘Intelligent Transport System for India’, National Seminar on Stratergies in Traffic Engineering and Management, STEM-04, Banglore, Feb 16-17, 2004. Kumar Praveen Arora Manoj and Bains N.S. Maj, , ‘Software for Trip Assignment Analysis using Capacity Restrained Method’, National Seminar on Strategies in Traffic Engineering and Management, STEM-04, Banglore, Feb 16-17, 2004. Kumar Praveen Chandra Satish, Singh Varun, Singh Tarun, A Software for Rural Road Accessibility Planning, International Conference on Transportation Systems Planning and Operation (TRANSPO2004), Feb 18-20, 2004, IIT Chennai. Kumar Praveen, Singh Varun and Singh Tarun, ‘Intelligent Transportation Systems for Road Transportation in Developing Countries”, Proc of 8th AATT Conference, Beijing, China. May 26-28, 2004. Kumar Praveen, Mehndiratta H.C., Durga Rao A.K., Use of Polythene in Flyash-Soil Embankments, Proc of National Symposium on Advances in Geotechnical Engineering NSAGE-2004, Banglore, July 22-23, 2004. Kumar Praveen and Singh Shailendra Pratap, Use of Reinforced Flyash in Road Sub bases Proc of National Conference on Materials and their Application in Civil Engineering (MACE-2004), NIT, Hamirpur, August 26-27, 2004 pp 137-139. Singh Varun, Singh Tarun, Langan David and Kumar Praveen, A Framework for Internet GIS based Computerised Visitors Information System for Theme Parks, Proc of 7th International IEEE Conference on Intelligent Transportation Systems, Washington D.C. USA, October 3-6, 2004. Kumar Praveen and Chattaraj Ujjal, Software for Route Assignment by Multi-Path Technique, TRRIFICON 04, National Conference on Traffic Engineering & Road safety in India, Problems and Prospects,, Banglore, Nov 26-27, 2004. Kamel Moustafa Ahmad, Chandra Satish, Kumar Praveen, Economics of Geogrid Reinforced Flexible Pavement, Proc of InternationalConference on Geosynthetics and Geoenvironmental Engineering (ICGGE-2004), IIT Bombay, Dec 8-10, 2004, pp 325-330. Kumar Praveen, Mehndiratta H.C. and Rokade Siddhartha, Use of Reinforced Flyash in Highways, accepted for International Conference on Structural and Road Transportation Engineering (START), IIT Kharagpur, Jan 3-5, 2005. Singh Shalendra Pratap and Kumar Praveen, Utilization of Reinforced Fly Ash in Road Transport Sector, Proc of Seminar Prithvi-2005, Global Eco Meet, Thiruvanathpuram, Kerala, Feb 19-28, 2005. Mehndiratta H.C., Kumar Praveen and Kh. Lakhsman Singh, Influence on Rheological Properties of Modified Bitumen at Higher Temperatures, 2005 International Symposium on Pavement Recycling, Brazil, March 14-16, 2005. Kamel Moustafa Ahmed, Chandra Satish and Kumar Praveen, Deformation Characteristics of Geogrid-Reinforced Base Material Under Repeated Loading, 5TH ICPT, Seoul, Korea, May 10-12, 2005. Kumar Praveen, Use of Steel Industry Byproducts in Road Construction, Fourth International Conference on Maintenance and Rehabilitation of Pavements and Technological Control, University of Ulster, Northern Ireland, UK, Aug 18-19, 2005. Kumar Praveen, Singh Varun and Singh Tarun, Intelligent Transport Systems for Road Infrastructure in India: Present & Future, 7th Asia –Pacific ITS Forum and Exhibition, New Delhi, Aug 9-11, 2005. Kumar Praveen and Singh Varun, Scope of Intelligent Transportation Systems, Proc. of Seminar on High Speed Corridors, organized by Indian Roads Congress (IRC), New Delhi, Sept 23-24, 2005, pp 185-192. Singh Shalendra Pratap, Kumar Praveen, Utilisation of Fibre Reinforced Flyash in Road Subbases, Proc of International Congress on Flyash, Organised by TIFAC, Department of Science and Technology, New Delhi, Dec 4-7, 2005. Singh Varun, Kumar Praveen and Kotzinos Dimris, A Framework for Web GIS Based Computerized Traveler Information and Decision Support System for Metropolitan Cities in India, Proc of MAP INDIA-2006, International Conference at New Delhi, Jan 30 .-Feb 1, 2006. Kumar Praveen and Singh Varun, Emergence of Intelligent Transport Systems in India: Some Research Initiatives, Indo- Australian Conference on Information Technology in Civil Engineering (IAC-ITCE), organized by Australian High commission and IIT Roorkee, Feb 20-21, 2006. Singh Kh. Lakshman, Mehndiratta H.C. and Kumar Praveen, Rheological Behaviour of Polymer Modified Bitumens, Indo- Auatralian Conference on Information Technology in Civil Engineering (IAC-ITCE), organized by Australian High Commission and IIT Roorkee, Feb 20-21, 2006. Kumar Praveen, Chandra Satish and Sinha A.K., Use of Locally Available Materials in Sub-bases, Proc. of International Seminar on “Innovations in Construction and Maintenance of Flexible Pavements, Agra, Indian Roads Congress, Sept 2-4, 2006. Kumar Praveen, Singh Nalini and Jami Ramakanth T.V., GIS Based Rural Road Network Planning, Proc. of National Conference on Civil Engineering: Meeting the Challenges of Tomorrow (CEMCT-2006)., Ludhiana, Nov 24-25, 2006. Kumar Praveen and Lal M.K., Design of PMGSY Roads, Proc. of National seminar on Roads 2007, Belgaum, (Karnataka), March 1 &2, 2007. Kumar Praveen, Mehndiratta H.C. and Singh Lakshman Kh., Rheological Properties of Modified Bitumens at High Temperatures, ROAD 07, National Conference on Trends in Road Making Materials, Methods & Machines-for Quality, Economy and Speed, Bhopal, April 21-24, 2007. Kumar Praveen, Use of Local Materials in Rural Road Pavements, National Conference on Rural Roads, National Rural Roads Development Agency, May 22-24, 2007, pp123-131. Kumar Praveen, Reinforced Flyash in Highway Embankments of India, Grameen Sampark, Special Issue for National Conference on Rural Roads, National Rural Roads Development Agency, May 22-24, 2007, pp 30-37. Kumar Praveen and T.V.Ramakanth Jami, GIS Based Rural Road Connectivity Planning to Discourage Migration, World Congress 2007 on Urban Infrastructure in Developing Countries, organised by World Federation of Engineering Organisations & The Institution of Engineers (India), New Delhi, Nov 13-14, 2007, pp II 55-61. Kumar Praveen, Disposal of Solid Wastes in Road Construction, Seminar on urbanization in the Present Global Scenario, organized by American Society of Civil Engineers (ASCE), India Section, Kolkata, Dec 7-8, 2007. Kumar Praveen, .Lal M.K. and Patel. Vishal, Computerised Design of Roads for PMGSY” National Conference on Emerging Technologies in Civil Engineering (NCETCE-2008), Ahmednagar, Maharashtra, Feb 28-29, 2008, pp266-276. Kumar Praveen, Deepti Avirneni and Gupta Ankit, Effect of Various Parameters over Cost of Rural Roads, National Conference on Infrastructure Development in Civil Engineering (IDCE-2008), Hamirpur, May 16-17, 2008. Kumar Praveen and Singh Varun, Advanced Traveler Information System for Developing Countries, 23rd ARRB Conference Adelaide, Australia, July 2008.
in Developing Countries, IIT Madras, September 12-14, 2008, pp53-61. Kumar Praveen and Singh Varun, Advanced Traveller Information System for Metropolitan Cities in India, 8th International Workshop on Transportation Planning and Implementation Methodologies for Developing Countries (TPMDC 2008), organised by IIT Bombay, Mumbai Dec 3 – 6, 2008. Gupta Ankit, Rastogi Rajat and Kumar Praveen, Flexible Pavement Performance Models: A Review, 8th International Workshop on Transportation Planning and Implementation Methodologies for Developing Countries (TPMDC 2008), organised by IIT Bombay, Mumbai, Dec 3 – 6, 2008. Kumar Praveen , Mehndiratta H.C. and Immadi Satish, Investigation on Fiber Modified Bituminous Mixes-An Experimental Study in India, TRB Annual 88th Conference, Washington D.C. USA, Jan 11-15, 2009, pp1-19. Kumar Praveen, Use of Local Materials, in Rural Roads Construction, Grameen Sampark, PMGSY Magazine, New Delhi, 2009, pp 10-19. Kumar Praveen and Gupta Pankaj, Use of Waste Plastics in Bituminous Layer of Pavement (Key Note Paper), International Conference on Pavement Engineering, Bhubaneswar , Feb14-15, 2009, pp 85-94. Kumar Praveen and Lakshman Kotkar Kishor, Effect of Non-Stirring on Behaviour of CRMB, International Conference on Pavement Engineering, Bhubaneswar , Feb14-15, 2009, pp 66-70. Gupta Ankit, Kumar Praveen and Rastogi Rajat, Overview of Flexible Pavement Performance Models: An Indian Experience, International Conference on Pavement Engineering, Bhubaneswar, Feb14-15, 2009, pp14-29. Jain Mukesh Kumar, Ankit Gupta and Kumar Praveen, Comparison of Long Term and Short Term Ageing Effect on Bitumen, Symposium on research in Civil Engineering, IIT Madras, Chennai, March 5-6, 2009, pp 183-184. Kumar Praveen and Sajid M.D.A., Asset Management of Rural Roads-Need & Present Status, National Workshop on Asset Management, organized by NRRDA at Hyderabad, April 28-29, 2009. Kumar Praveen and Gupta Ankit, Provision of Rigid, Semi Rigid and Flexible Pavements as Rural Roads, National Conference on Sustainable Concrete Infrastructure Development SCID-2009, Jaipur, May 19-20, 2009 pp 315-323. Gupta Ankit, Kumar Praveen and Rastogi Rajat, Review of Finite Element Based Studies in Flexible Pavement Performance Analysis, Proceedings of Civil Engineering Conference-Innovation Without Limits (CEC-09), Hamirpur, 18th - 19th September, 2009, pp 637-644. Kumar Praveen and Suman Sanjeev, Public Transportation Systems with ITS Technologies, Proceedings of Civil Engineering Conference-Innovation Without Limits (CEC-09), Hamirpur, 18th - 19th September, 2009, pp 294-302. Kumar Praveen and Bhutani Akhil, “Studies on Permeability of Various Granular Materials”, Proceedings of National Workshop on Stabilisation of Soil and Granular Layers for Pavements, PEC University of Technology, Chandigarh, October 24, 2009. Kumar Praveen and Sharma Shashikant, “Studies on Base and Sub-base Courses”, Proceedings of National Workshop on Stabilisation of Soil and Granular Layers for Pavements, PEC University of Technology, Chandigarh, October 24, 2009. Gupta, Ankit., Kumar Praveen and Rastogi, R., “Rating Based Performance Evaluation of Low Volume Hill Roads”, Proc., of Uttarakhand State Science and Technology Congress, 4th USSTC, G. B. Pant University of Agriculture and Technology, Pantnagar, Nov 10-12, 2009, pp191. Kumar Praveen and Kumar Ashok, Facility Based Planning of Rural Road Network, Proc of PIARC International Seminar on Sustainable Maintenance of Rural Roads, Ruraol System and Accessibility to Rural Areas at Hyderabad, organized by NRRDA, Jan 21-23, 2010. Kumar Praveen, Dynamic Advanced Traveler Information System for Developing Countries, Proc. of Indo-US Workshop on Emerging Trends in Intelligent Transportation Systems, organized by IIT Madras, Feb 11-13, 2010. Pavements" Proc. of International Conference on Pavement Preservation, California, USA, April 13-15, 2010. Kumar Praveen, Road Construction by Waste Materials (Key Note Paper), Proc. of National Seminar, Construction Materials, organized by CRRI, May 12-13, 2010, pp 1-9. Kumar Praveen and Anand P. Maj, Laboratory Study on Performance of Mastic Asphalt, 24th ARRB Conference, Melbourne, Australia, Oct 12-15, 2010. Gupta Ankit, Kumar Praveen and Rastogi Rajat, Application of Finite Element Based Models in Flexible Pavement Performance Analysis, International Conference on Developments in Road Transportation, Rourkela, Oct 8-10, 2010, pp 692-702. Kumar Praveen, Suman Sanjeev and Singh Varun, Traveller Information System For Mixed Traffic In India, Conference on Infrastructure, Sustainable Transportation and Urban Planning CISTUP 2010, Indian Institute of Science, Banglore, Oct 18-20, 2010, pp64. Gupta, Ankit., Kumar Praveen and Rastogi, R.,Field and Laboratory investigations on Subgrade Layer of Low Volume Roads, GEOtrendz, Indian Geotechnical Conference, IIT Bombay, Dec 16-18, 2010, pp1019-1022. Gupta, Ankit., Kumar Praveen and Rastogi, Field and Laboratory investigations on Subgrade Layer of Low Volume Roads, Conference on Infrastructure, Sustainable Transportation and Urban Planning CISTUP 2010, Indian Institute of Science, Banglore, Oct 18-20, 2010, pp33. Kumar Praveen, Suman Sanjeev and Meena Rishi Kesh, Advanced Traveller Information System for Jaipur City, Proc of National Workshop on Road Infrastructure & Traffic Planning in Jaipur City, Jaipur, Jan 29, 2011, 63-78. Kumar Praveen, Improving Efficiency of Transport System with Advanced Traveler Information System (ATIS), International Conference on Intelligent Transport Systems (India), Feb 21-22, 2011. Kumar Praveen, Singh Shalendra Pratap & Anupam Aditya Kumar, Reinforced Fly Ash Sub-Bases in Rural Roads in National Workshop on Utilization of Fly Ash , SVNIT Surat, Gujarat, June 10, 2011. Kumar Praveen, Nagarwal Raj Kumar, Incident Management System For Chandigarh City, Geo-Spacial Technologies and Applications, Geo Summit-2011, Satyabhama University, Chennai, July 27-29, 2011. Ransinchung G.D.R.N, Kumar Praveen & Chauhan Prakhash Arun, Review on Use of Recycled Aggregates in Concrete, Recent Advances in Civil Engineering” RACE-2011 Oct. 14 - 16, 2011, IT-BHU, ISBN 978-81-921121-0-7, pp 210-214. Kumar Praveen, Ransinchung G.D.R.N & Jindal Abhishek, Review on Self Compacting Concrete, Recent Advances in Civil Engineering” Recent Advances in Civil Engineering” RACE-2011 Oct. 14 - 16, 2011, IT-BHU, ISBN 978-81-921121-0-7, pp445-49. Ransinchung G.D.R.N, Kumar Praveen & Kumar Brind, A Pragmatic Approach of Potholes Repair under Indian Service Conditions, Recent Advances in Civil Engineering” RACE-2011 Oct. 14 - 16, 2011, IT-BHU, ISBN 978-81-921121-0-7, pp 551-557. Khan Md Tanveer and Kumar Praveen, Utilization of waste material in transportation engineering: a sustainable perspective, Proc of 1st conference of Transportation Research Group og India (CTRG), Banglore, Dec 7-10, 2011, pp 1-7. Kumar Praveen, Ransinchung G D R.N & Anupam Aditya Kumar, , Waste Materials - An Alternative To Conventional Materials In Rural Road Construction, PMGSY Workshop, NRRDA, New Delhi, Feb 18, 2012. Anupam Aditya Kumar, Kumar Praveen and Ransinchung G.D R N, Stabilizing the subgrade with slag content-A Laboratory Study, Proc of Advances in Mechanics and materials RAMM-2012, VSS University of Technology, Burla, Odidha, Feb 25-26, 2012, pp337-345. Kumar Praveen and Suman Sanjeev, Advanced Public Transport System using MapServer and Ant Algorithm, National Get Together (NGT-2012) on Road Research and its Utilisation, Central Road Research Institute, New Delhi, March 1-2, 2012, pp17-19. Kumar Praveen, Khan Tanveer Md. and Singh Maninder, Effect of Polymer Modification on the Conventional properties of the Bitumen, International Conference on Emerging Trends in Engineering and Technology, Teerthankar Mahaveer University, Moradabad, April 6-7, 2012, pp 1-5. Anupam Aditya Kumar, Kumar Praveen and Ransinchung G D R.N, Analysing the suitability of Waste Materials for Road Construction, International Conference on Emerging Trends in Engineering and Technology, Teerthankar Mahaveer University, Moradabad, April 6-7, 2012, pp 1-6. Gupta A., Kumar P. & Rastogi R., Effect of Environmental Factors on Flexible pavement Performance Modelling-A Review, Proc of International Conference on Highway Engineering 2012, Bangkok, Thailand, April 18-20, 2012, pp203-210. Gupta A., Kumar P. & Rastogi R., Investigations Using DCP on Subgrade Layer of Low Volume Roads, Proc of International Conference on Highway Engineering 2012, Bangkok, Thailand, April 18-20, 2012, pp211-218. Gupta A., Kumar P. & Rastogi R., Pavement Deterioration and Maitenance Model for Low Volume Roads, Proc of International Conference on Highway Engineering 2012, Bangkok, Thailand, April 18-20, 2012, pp381-388. Kumar Praveen and Maninder S., Evaluation of Aging Effect of Properties of Virgin and Polymer Modified Bitumen, Proc of International Conference on Highway Engineering 2012, Bangkok, Thailand, April 18-20, 2012, pp437-441. Anupam A.K., Kumar Praveen and Ransinchung G.D., A Comparative Study of Sugarcane Bagasse Ash & Fly Ash for Use in Pavement Construction, Proc of International Conference on Highway Engineering 2012, Bangkok, Thailand, April 18-20, 2012, pp469-474. Kumar Praveen and Khan Md Tanveer, Modified Bituminous Binders, AET-ACE2011 26th Engineering Congress, Dec 15-18, 2011. Ransinchung G.D, Kumar Praveen and Sharma Pooja, Stabilization of Clayey Soil with Fines from Waste Crushed Concrete Cubes for Construction of Pavements, Proc of International Conference on Engineering and Information Technology “ICEIT2012, Toronto, Canada, ISBN 978-1-77136-064-7, Sept 17-18, 2012, pp24-28. Anupam Aditya Kumar, Ransinchung G.D and Kumar Praveen, Influence of Recycled Fines Obtained from Demolished Concrete Slabs for Use in Pavement Quality Concrete Construction, 28th ARRB Conference-Shaping the Future:Linking Policy and Outcomes, Perth, Australia, Sept , 2012, pp1-9. Kumar Praveen and Singh Maninder, Effect of Binder and Aggregate on Optimum Binder Content on Bituminous Mix, National Seminar on “Role of Infrastructure for Sustainable Development”, 28th National Convention of Civil Engineers, The Institution of Engineers, Roorkee, October 12-14, 2012, pp600-605. Kumar Praveen, Ransinchung G.D and Anupam Aditya Kumar, Application of Industrial and Agricultural Waste Materials for Highway Construction, National Seminar on “Role of Infrastructure for Sustainable Development”, Roorkee, October 12-14, 2012, pp737-747. Singh Maninder, Kumar Praveen and Maurya M.R., Effect of Mineralogy of Aggregates on Moisture Susceptibility of Bituminous Mixes, 10th International Conference on Transportation Planning and Implementation Methodologies for Developing Countries (TPMDC 2010), organised by IIT Bombay, Mumbai Dec 12-14, 2012, pp27-33. Anupam Aditya Kumar, Kumar Praveen and Ransinchung G.D., Influence of Rice Husk Ash and Fly Ash on Strength Behaviour of Subgrade Soil for Pavement Construction, 10th International Conference on Transportation Planning and Implementation Methodologies for Developing Countries (TPMDC 2010), organised by IIT Bombay, Mumbai Dec 12-14, 2012, pp72-82. Anupam Aditya Kumar, Kumar Praveen and Ransinchung G.D., Laboratory Study on Permanent Deformation Bhaviour of Soil Admixed with Bagasse Ash under Repeated Triaxial Loading, Advances in Geotechnical Engineering, Indian Geotechnical Conference, IGC-2012, IIT Delhi, Dec 13-15, 2012, pp159-162. Singh Maninder, Kumar Praveen, Maurya M.R.,”Evaluating the Effect of Polymer modification on physical and rheological properties of conventional bitumen”, International Conference on Advances in Architecture and Civil Engineering, India, June 2012, Vol 1,pp 481-484. Kumar Praveen and Suman Sanjeev, Route Guidance and Ant Administrative System in Web GIS based Advanced Public transport System (APTS), National Workshop on Sustainable Transportation for Indian Cities (STIC 2013), organized at CRRI, New Delhi, March 22, 2013. Singh Maninder, Kumar Praveen,” Laboratory study of skid resistance and rutting of bituminous concrete”, The Seventh International Conference on Maintenance And Rehabilitation of Pavements and Technological Control, New Zealand Aug 28-30, 2012. Singh Maninder and Kumar Praveen, Laboratory Study on Skid Resistance and Rutting of SBS Modified Bitumen Mixes, Conference on Evolution in Science and Technology and Eyne on Educational Methodologies (ESTEEM-2013), Hissar, March 3-4, 2013, pp363-366. Ransinchung G.D, Kumar Praveen and Marik Supriya, Influence of Old Wall Plaster Powder on the performance of DGBM Mixes, Conference on Evolution in Science and Technology and Eyne on Educational Methodologies (ESTEEM-2013), Hissar, March 3-4, 2013, pp365-369. Kumar Sharad, Kumar Praveen and Ransinchung G.D, Review of Studies on Moisture Susceptibility Behaviour of Modified Bituminous Mixes, Conference on Evolution in Science and Technology and Eyne on Educational Methodologies (ESTEEM-2013), Hissar, March 3-4, 2013. Ransinchung G.D R N, Kumar Praveen and Bera Amit Kumar,Performance Evaluation of Sility Sand subgrade Reinforced with Pine Needle, 2nd International Conference on Emerging Trends in Engineering and Technology, Teerthankar Mahaveer University, Moradabad, April12-13, 2013, pp1-4. Sharma Shashikant, Ransinchung G.D R N and Kumar Praveen Difference in loading behaviour between semi rigid and ordinary base course materials, 2nd International Conference on Emerging Trends in Engineering and Technology, Teerthankar Mahaveer University, Moradabad, April 12-13, 2013, pp1-7. Anupam Aditya Kumar, Kumar Praveen and Ransinchung G.D, Influence of Time Variation on Admixed Soil Swelling Properties, 2nd International Conference on Emerging Trends in Engineering and Technology, Teerthankar Mahaveer University, Moradabad, April12-13, 2013, pp1-6. Shashi Kant Sharma, G.D. Ransinchung R.N., Praveen Kumar, "Difference in loading behaviour between semi rigid and ordinary base course materials", International Conference on 'Emerging Trends in Engineering and Technology', Moradabad, 2013. Kumar Praveen and Singh Shalendra Pratap, Reinforced Fly Ash Sub Bases in Rural Roads, Geotechnical Advances and Novel Geomechanical Applications (GANGA), IGC-2013, IITR, Dec 22-24, 2013, pp1-6. Anupam Aditya Kumar, Praveen Kumar and G D Ransinchung R N , Use of Various Agricultural and Industrial Waste Materials in Road Construction, 2nd Conference of Transportation Research Group of India (2nd CTRG), Elsveir, Science Direct, Procedia of Social and Behavioral Sciences, Dec, 2013, pp 264-273. Anupam Aditya Kumar, Kumar Praveen and Ransinchung R N G D, Resilient Modulus of Treated Expansive Soil from Repeated Tri-axial Test, 13th LJMU Annual International Conference on Asphalt, Pavement Engineering and Infrastructuire, Feb 26-27, 2014, Liverpool, United Kingdom (UK), volume 13, ISBN 978-0-9571804-4-4, pp44-47. Kumar Praveen, Ransinchung G.D. and Mehta Mayank (Lt. Col.) Performance Testing of bituminous Mixes using Falling Weight Deflectometer, Conference on Civil Enginering Systems and Sustainable Innovations, Krishi Sanskriti, JNU, ISBN 978-93-83083-78-7, April 25-26, 2014, pp 172-178. Jindal Abhishek, Ransinchung G.D.R. N. and Kumar Praveen, Recycled Concrete Aggregates for Rigid Pavements: A Review, International Conference on Sustainable Civil Infrastructure (ICSCI 2014), Hyderabad, October 17-18, 2014. Kumar Praveen and Saboo Nikhil, Rheological Investigations of Sulfur Modified Bitumen, International Conference on Sustainable Civil Infrastructure (ICSCI 2014), Hyderabad, October 17-18, 2014. Singh Maninder, Kumar Praveen and Jain Kunal, Use of FTIR Spectroscopy Technique To Study The Effect of Ageing And Bitumen Modification, Conference on Transportation Planning and Implementation Methodology for Developing Countries, organized by IIT Bombay, Dec 10-12, 2014. Kumar Praveen and Saboo Nikhil, Optimum Blending Requirements for EVA Modified Binder, Conference on Transportation Planning and Implementation Methodology for Developing Countries, organized by IIT Bombay, Dec 10-12, 2014. Anupam Aditya Kumar , Kumar Praveen & Ransinchung G. D.R. N., Effect of Fly Ash And Rice Husk Ash On Permanent Deformation Behaviour of Subgrade Soil Under Cyclic Triaxial Loading, Conference on Transportation Planning and Implementation Methodology for Developing Countries, organized by IIT Bombay, Dec 10-12, 2014. Kumar Praveen and Singh Maninder, Rheological Investigation of Modified Binder with Various Aggregates, Invited paper for Workshop on Innovative Construction Machinery, Materials and Methods, (ICMMM-2015), organized by IIT Roorkee and ISCMS, October 26-27, 2015. Saboo Nikhil and Kumar Praveen, Creep and Recovery as a function of Conventional Binders Properties, 3rd Conference of the Transportation Research Group of India CTRG, October 17-20, 2015, Kolkata, India. Saboo Nikhil and Kumar Praveen, Rheological Study on Mixing Temperatures of Modified Binders, 3rd Conference of the Transportation Research Group of India CTRG, October 17-20, 2015, Kolkata, India. Anupam Aditya Kumar, Kumar Praveen, G. D. Ransingchung, R. N., Maninder Singh, "Shear and deformation behaviour of stabilized subgrade soil by fly ash and bagasse ash under repeated compressive load, 3rd Conference of Transportation Research Group of India (3rd CTRG), December 17-20, 2015. Singh, B. and Kumar, P. “Effect of modifiers on the ageing properties of bitumen: A review”, 3rd Conference of Transportation Research Group of India (3rd CTRG), December 2015, Kolkata, India. Singh, B., Saboo, N. and Kumar, P., “Effect of spindle diameter and plate gap on the rheological properties of asphalt binders”, 4th Chinese European Workshop (CEW 2016), 29th June- 1st July, Delft, Netherlands. Singh, B., Kumar, R. and Kumar, P. “Effect of Chemical Warm Mix Additives on the Properties of Asphalt Binder”, National Conference on Role of Civil Engineering in Nation Building (RCNB 2016), 16-17th April, 2016, Roorkee, India. Singh, B., Saboo, N. and Kumar, P. (2016), “Effect of Short Term Ageing on the Rutting Properties of Asphalt Binders”, 27th ARRB Conference, Melbourne, Australia. (Full paper submitted). Saboo Nikhil and Kumar Praveen, Predicting of Mixing Temperature of Asphalt Binders using Carreau-Yasuda (C-Y) Equation, National Conference on “Fifteen Years of PMGSY” Aug 6-7, 2016, IIT Roorkee. Singh Maninder and Kumar Praveen, Mixing and Compacting Temperatures for Neat and SBS Modified Bitumen, National Conference on “Fifteen Years of PMGSY” Aug 6-7, 2016, IIT Roorkee. Marik Supriya, Ransinchung R N G D and Kumar Praveen, Review on Use of Recycled Aggregates in Bituminous Mixes, National Conference on “Fifteen Years of PMGSY” Aug 6-7, 2016, IIT Roorkee. Singh Varun, Kumar Praveen and Purwar Vivek Kumar, GIS Framework for Rural Road Accessibility Planning, National Conference on “Fifteen Years of PMGSY” Aug 6-7, 2016, IIT Roorkee. Mishra Shambhavi and Kumar Praveen, Applications of GIS in Road Network Planning, National Conference on “Fifteen Years of PMGSY” Aug 6-7, 2016, IIT Roorkee. Suman Sanjeev and Kumar Praveen, ANT Algorithms for Rural Road Planning, National Conference on “Fifteen Years of PMGSY” Aug 6-7, 2016, IIT Roorkee. Gupta Ankit, Kumar Praveen and Rastogi Rajat, Functional Performance Analysis of Low Volume Roads, National Conference on “Fifteen Years of PMGSY” Aug 6-7, 2016, IIT Roorkee. Singh Bhupendra and Kumar Praveen, Socio-economic Impact of Rural Roads-A Review, National Conference on “Fifteen Years of PMGSY” Aug 6-7, 2016, IIT Roorkee. Sharma Shashikant, Ransinchung R N G D and Kumar Praveen, Rigid Pavements Constructed with WMF Reinforced SCC in Rural Roads, National Conference on “Fifteen Years of PMGSY” Aug 6-7, 2016, IIT Roorkee. Anupam Aditya Kumar, Kumar Praveen and Ransinchung R N G D, Correlations between Geotechnical Strength Parameters for Subgrade Soil Treated with Rice Husk Ash for Rural Road Construction, National Conference on “Fifteen Years of PMGSY” Aug 6-7, 2016, IIT Roorkee. Kumar Rajiv, Kumar Praveen and Chandra Satish, Laboratory Evaluation of Warm Mix Asphalt in India, National Conference on “Fifteen Years of PMGSY” Aug 6-7, 2016, IIT Roorkee. Bhupendra Singh, Kumar Praveen and Shukla Kartikeya, FTIR Analysis of Short Term Aged PMB and WMA Binders, 12th TPMDC, International Conference on Transportation Planning and Implementation Methodologies for Developing Countries, IIT Bombay, Dec 19-21, 2016. Makwana Prakash Kumar, Kumar Praveen, Development of Cost Prediction Model for Rural Road, 12th TPMDC, International Conference on Transportation Planning and Implementation Methodologies for Developing Countries, IIT Bombay, Dec 19-21, 2016. Singh Lakshman kh, Kumar Praveen and Mehndiratta, A Comparative Study on Empirical and Rhelogical Properties of Modified Bituminous Binders, 12th TPMDC, International Conference on Transportation Planning and Implementation Methodologies for Developing Countries, IIT Bombay, Dec 19-21, 2016. Saboo Nikhil, Singh Bhupendra and Kumar Praveen, Studying the Rutting and Fatigue Properties of Conventional Asphalt Binders, National Conference on Roads and Transport (NCORT-2017), IIT Roorkee, Oct 14-15, 2017. Singh Bhupendra, Saboo Nikhil and Kumar Praveen, Morphological Study of Polymer Modified Binders Ageing, National Conference on Roads and Transport (NCORT-2017), IIT Roorkee, Oct 14-15, 2017. Kumar Rajiv, Kumar Praveen & Chandra Satish, Bituminous Binder Grading Systems an Indian Scenario, National Conference on Roads and Transport (NCORT-2017), IIT Roorkee, Oct 14-15, 2017. Mishra Shambhavi, Gurmesh and Kumar Praveen, A Review on Intelligent Incident Management System, National Conference on Roads and Transport (NCORT-2017), IIT Roorkee, Oct 14-15, 2017. Suman Sanjeev and Kumar Praveen, Shortest Route Finding by Ant System Algorithm in a Web GIS Environment, National Conference on Roads and Transport (NCORT-2017), IIT Roorkee, Oct 14-15, 2017. Kumar Praveen, Mishra Shambhavi and Suman Sanjeev, Application of Intelligent Transportation Systems (ITS) for Developing Countries, World Road Meeting (WRM), organised by International Road Federation (IRF), Nov 14-17, 2017. Ransinchung G D R N, Kumar Praveen and Jindal Abhishek, Use of Wollastonite in Pavements, World Road Meeting (WRM), organised by International Road Federation (IRF), Nov 14-17, 2017. Sharma Ankit and Kumar Praveen, Use of Warm Mix Additives in Bituminous Layers, International Conference on ADVANCES IN CONSTRUCTION MATERIALS AND STRUCTURES (ACMS-2018), 7-8 March, 2018. Walia Ashish, Kumar Praveen and Jain S.S., “Review on Development of Backcalculation Methodologies adopted for determining Pavement Response using FWD, Proceedings of the 5th Colloquium on Transportation Systems Engineering and Management (CTSEM2018) NIT Warangal, May 17–19, 2018. Walia Ashish, Kumar Praveen and Jain S.S., “Comparison of Various Approaches adopted in Analysis of FWD Response” sent to ICOPAC, CRRI. Sharma Ankit and Kumar Praveen, A Study on Comparative Performance of WMA Additives, 5th Colloquium on Transportation Systems Engineering and Management (CTSEM2018), NIT Warangal, 17–19 May, 2018. Mr Anil Durga Prasad B. Evaluation of Activated Fly Ash Treated Reclaimed Asphalt Pavements for Sustainable Design of Base Courses. 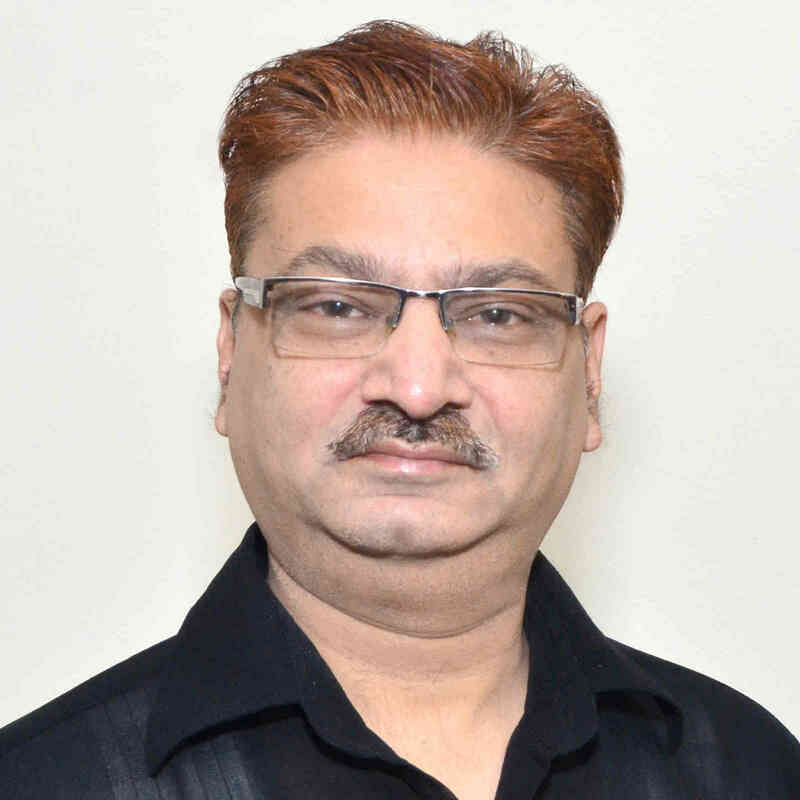 Dr Praveen Kumar is Director of National Institute of Technology Delhi since Oct 2018. Before taking this responsibility he has been Professor of Civil Engineering (HAG Scale) at the Indian Institute of Technology, Roorkee from . He worked as Associate Dean (Faculty Affairs) of IIT Roorkee since Jan 2010 to Dec 2012. He was assigned the responsibility of Coordinator, Transportation Engineering Group of Civil Engineering Department for the session 2010-2012 and again on Dec 2015 to July 2018. He obtained his B.E. degree from M.R.Engg. College, Jaipur (now NIT), M.E. and Ph.D. from the University of Roorkee (now IIT Roorkee). He has served the Central Road Research Institute, New Delhi for six years as a Scientist in Soil Stabilization and Rural Roads Division. He has wide experience of test track construction using waste materials in Andhra Pradesh, Bihar, Orissa and Delhi. His areas of specialization are Waste Material Utilization in Low Cost Roads, Rural Roads Network Planning, Pavement Materials, Pavement Performance Studies and Intelligent Transport System. Dr Praveen Kumar has published about 400 research papers in National and International Journals and Conferences. He has completed about 200 sponsored and consultancy projects. He has developed the Rural Roads Master Plans of various districts in Andhra Pradesh, Rajasthan and Uttar Pradesh based on Optimal Rural Road Network Planning. He has edited CRRI Research Journal “Sadak Darpan” for about Six Years. He has won CSIR National Prize for the year 1995-96. He was awarded the Best Research Paper Award (Bihar PWD Medal) by Indian Roads Congress for year 1999-2000 and again in 2016-17. All India Council for Technical Education (AICTE) has given him the prestigious “Young Teachers’ Career Award” for R & D work on Low Cost Roads. He is also a recipient of the highest award of Indian Roads Congress –Pt. Jawaharlal Nehru Centenary Award-2000. The Institution of Engineers (India) has given him the Best Paper Award in 2002, 2009 and 2013. Indian Institute of Technology, Roorkee has given him Outstanding Teacher Award for 2003, 2007 and 2011. Besides Best Paper award of ISCMS-2002, he has been adjudged as Star Performer for overall Performance by IIT Roorkee in 2003-04, 2004-05 and 2005-06. Air India has given him BOLT (Best Teacher Award) in 2006 & again in 2007. Dr Praveen Kumar is a part of Six Member National Executive Committee of Pradhan Mantri Gram Sadak Yojna (PMGSY) looking after the Mega Yojna at National Level for 2003 to 2018. He was Coordinator of Principal Technical Agency and State Technical Agency for PMGSY till 2018. He has organized 40 training courses at IITR to train about 1200 field engineers of UP and Uttarakhand for PMGSY. He has delivered a number of lectures in various parts of the country for the benefit of engineers of North East, Gujrat, Maharastra, MP, H.P., Haryana, Jharkhand, J& K etc. He has also contributed to the manual of rural roads developed by Rural Roads Committee of IRC (H-5). Dr Praveen Kumar has developed various softwares, which are useful in the field of Roads and Road Transport. Dr Praveen Kumar has guided Fourteen Ph.Ds. and Ninety M.Tech. theses in Transportation Engg. Six Ph.D.s and Three M.Tech.s are in progress. He has organised Several Conferences as Organising Secretary. He has served the Civil Engg Deptt in various administrative capacities including O.C. Purchase, O.C. Central Facilities and Staff advisor, Cognizance-2004, 2005. He has been the Editor of IIT News Letter Samvaad and IIT Annual Report for about 10 years. He has served as Chairman of Library Advisory Committee of IITR for three years. President of India has nominated him as Visitor’s nominee for Selection Committee of Civil Engg Deptt of IIT Delhi, IIT Madras, IIT Jodhpur and Court of Banaras Hindu University (BHU). He is also Councill Niominee in Board of Governors of IIT-BHU. Professor 2007 onwards at IITR. Also delivered 40 Lectures for Engineers/Teachers at various places for NITHE, NABARD, NRRDA. CSIR National Research Prize in 1995-96. Utkrust Shikshak Samman by Bharat Vikas Parishad, Uttarakhand. Fourth Rank among Top 100 IIT Professors in India in 2016 based on Research papers Published in India. President of India Nominee (Visitor’s Nominee) for Selection Committee of Civil Engg Deptt, IIT Delhi, 2016-19, IIT Madras (2017-20) & IIT Jodhpur (2018-21) and Court of Banaras Hindu University (BHU), 2017-20. Conferences Organised: 5 as Convener/Chairman, 10 as Member, Organising Committee.